It had been one month since I went to the north to do volunteer for hunting northern lights. 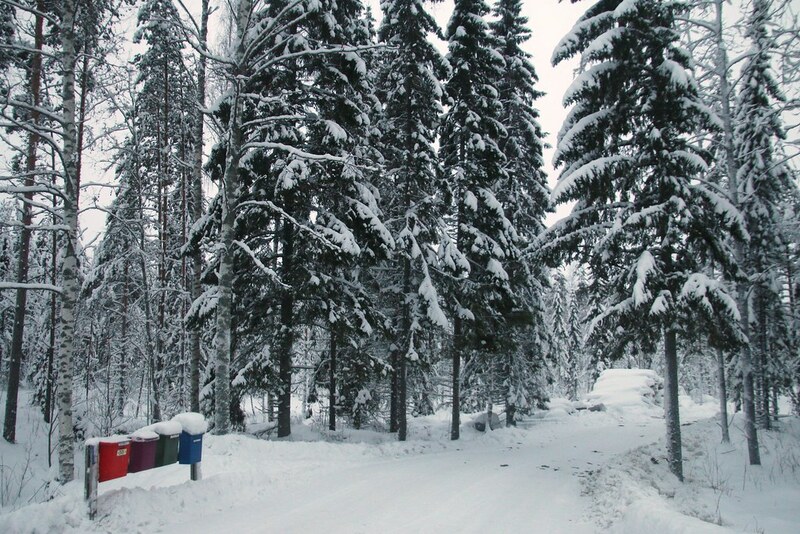 Now I got to go back to the Central Finland. 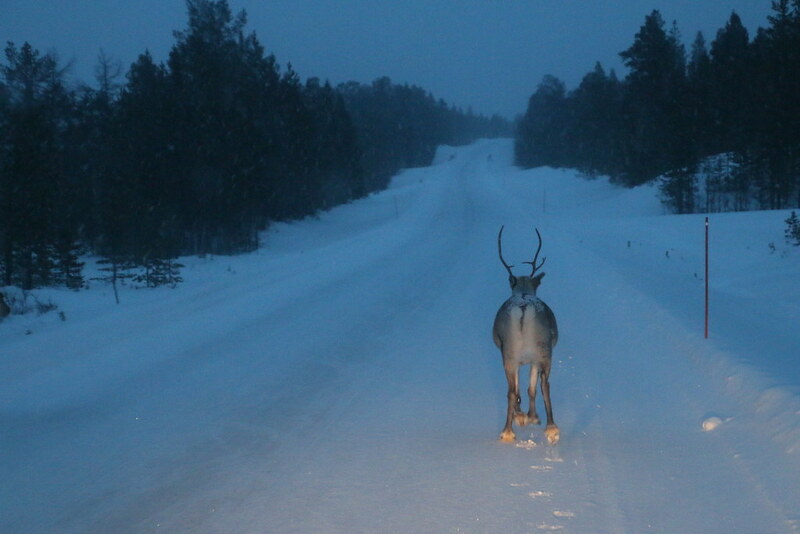 There was cute reindeer walking on the way back. 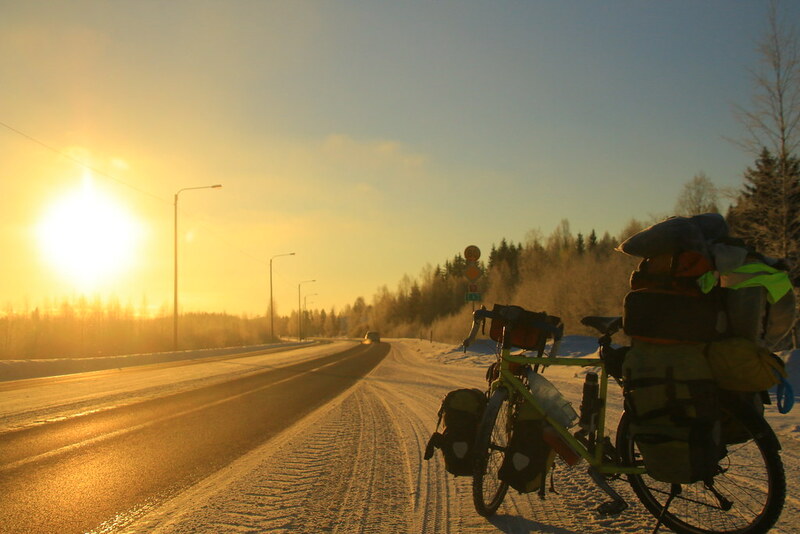 I left my bicycle and other gears at Rolf’s house in Oulu. Now I came back. I ordered a few bicycle’s gears to his house which I bought on e-bay. One of things was a chain. A new chain was longer. He cooked very interesting food. 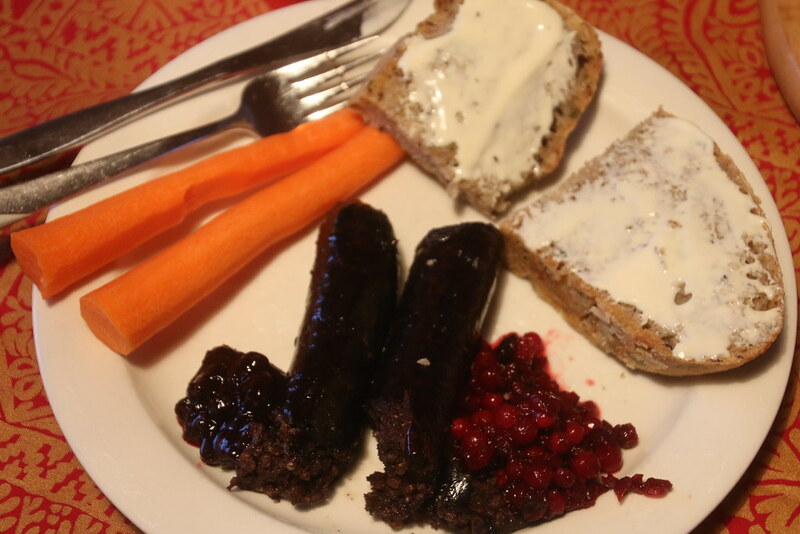 The sausage was from the blood of cow. In Korea, people make soup with the blood of cow, which is very good for hangover. But I didn’t like it. However, this sausage was fine. The berry which was at the next of it was from his back yard. 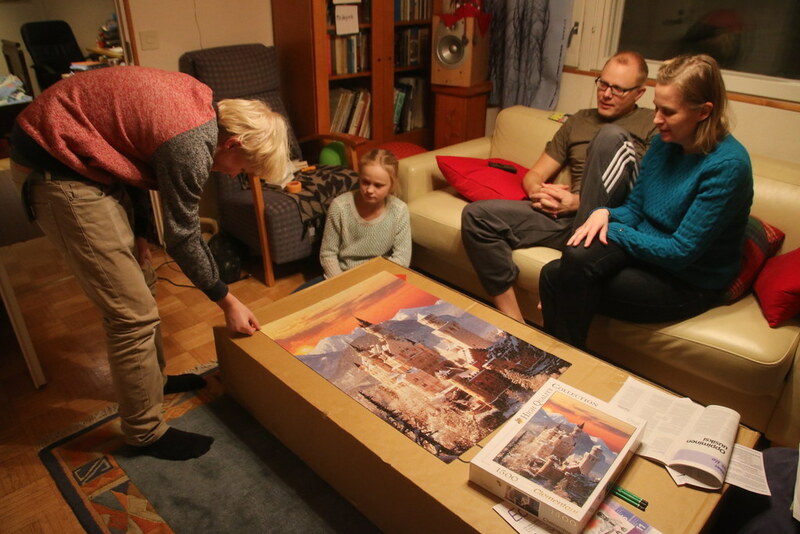 Rolf’s family had a big puzzle as Christmas gift. Every night we played with it. On one night, we finished. When I was little child in the kindergarten, I always played puzzle. 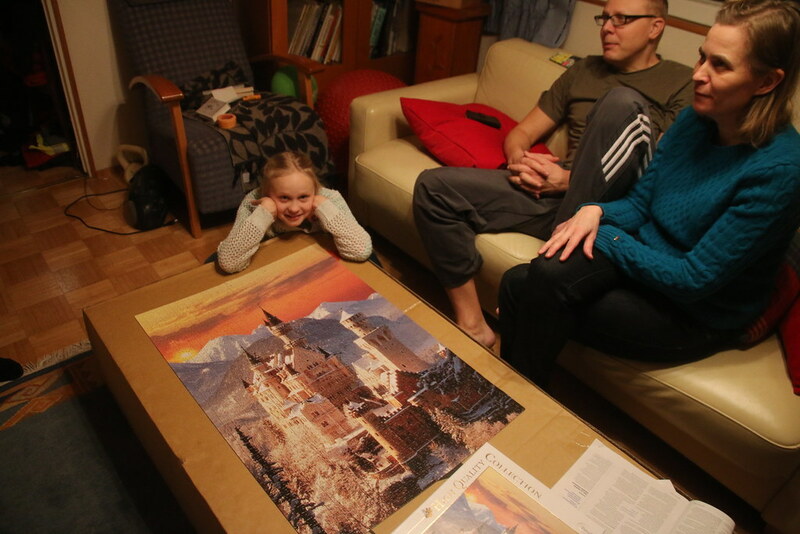 I don’t know why I did love playing puzzle every time. Maybe I knew that life would be like puzzle, so I pushed myself to play puzzle to solve the puzzle life? lol.. In the night we went a big grocery, Lidl. 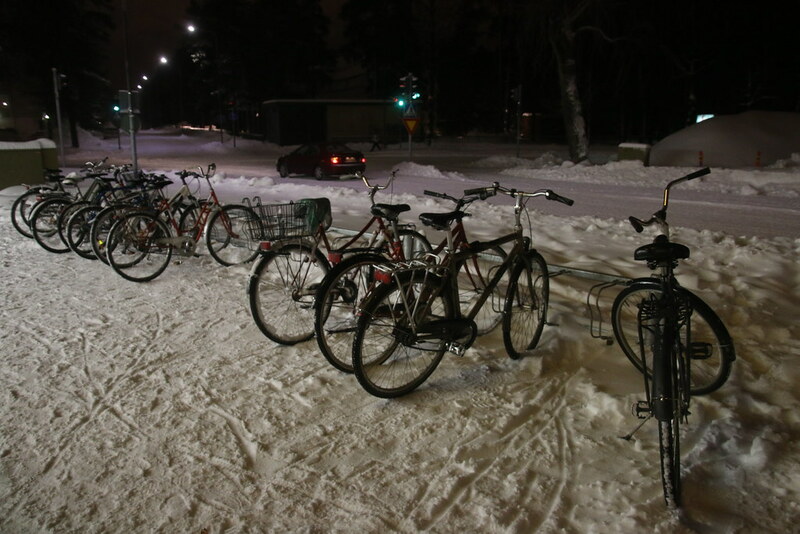 There were many bicycles parked in a cold night. 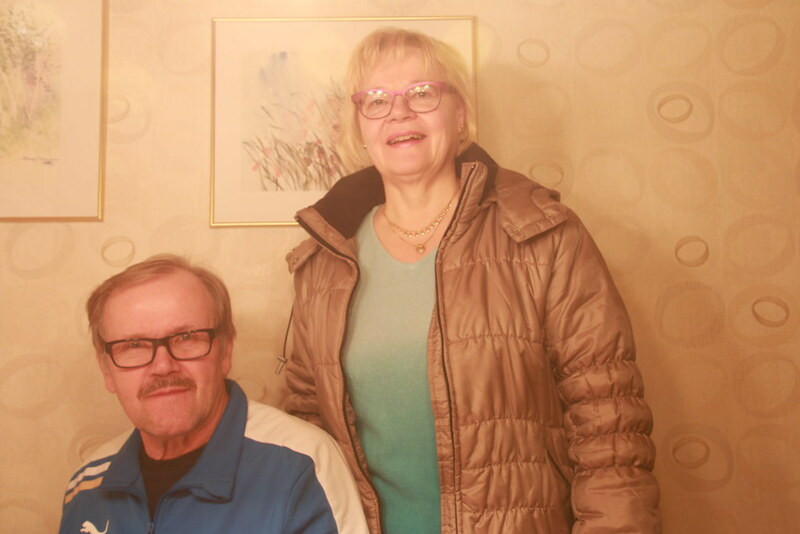 Thank to Rolf’s family, everything was so easy in Oulu. Thank you so much ever to host me and help me with many ways! Actually I was very nervous at the day before I started cycling. The reason was the weather. I didn’t cycle for a month. 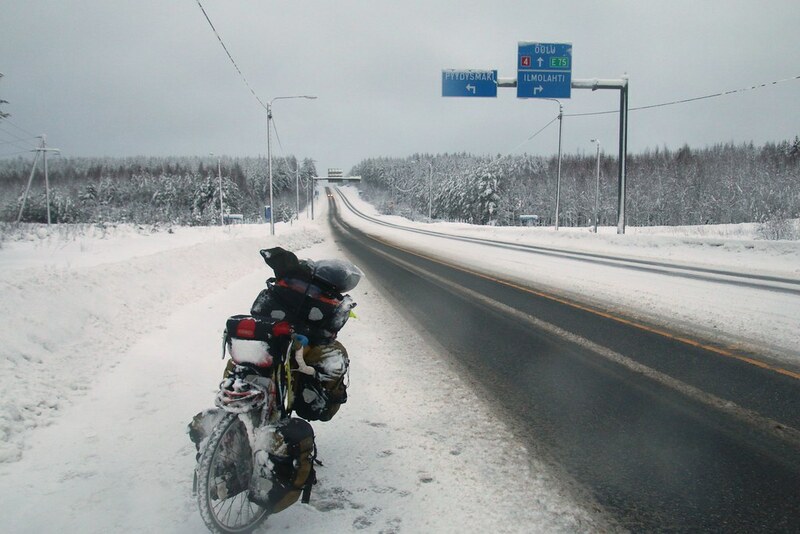 Now it was time to go back to my saddle, but the temperature became too cold. 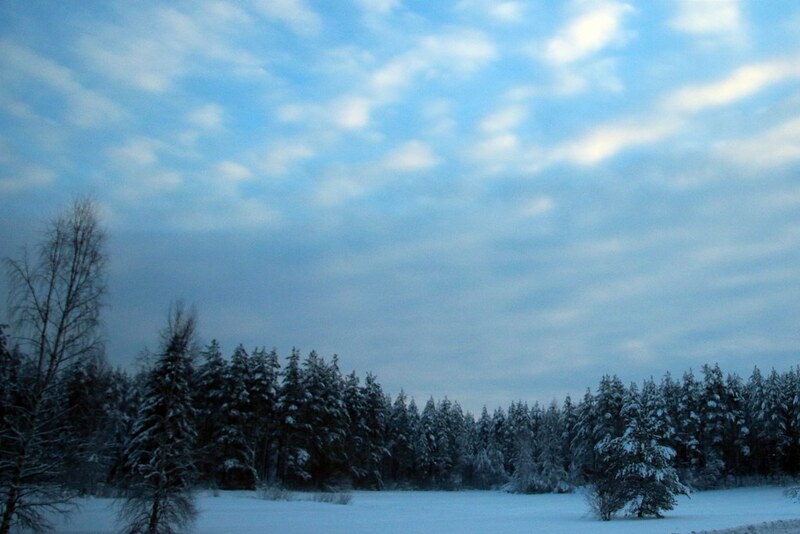 It was -12c (10.4). Yeah, it was very normal weather because it was the middle of the winter, January! 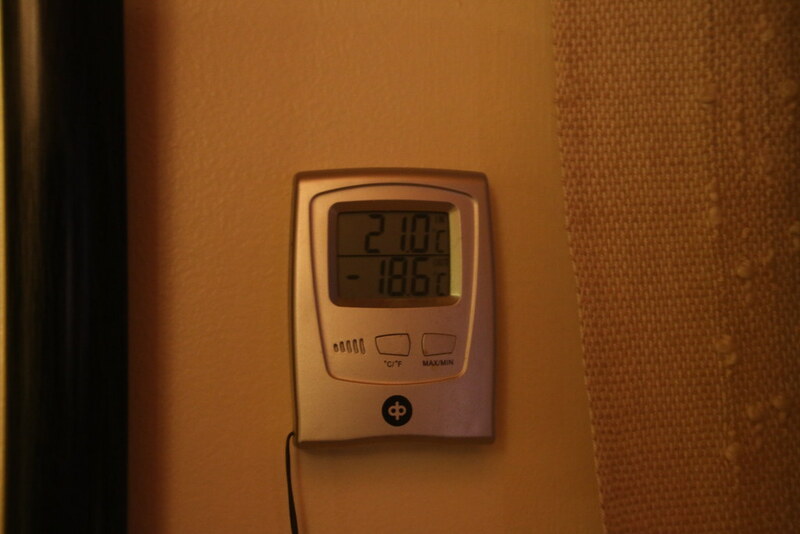 The coldest temperature in the hotel during volunteering was -32c (-25f), but it was no problem because I had the place to stay at the inside. It is so true that I am not afraid of the nature when I don’t cycle. But once I cycle, I become so humble in front of nature. Being on a bicycle is one of way to learn how to be humble in front of the nature. 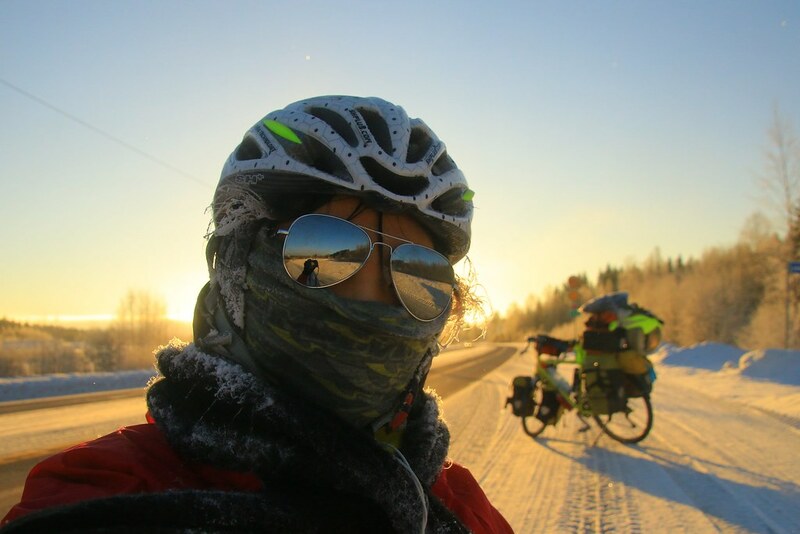 The coldest temperature I cycled with was -15c (5f) in Russia. At that time it was too painful that I wanted to give up cycling. 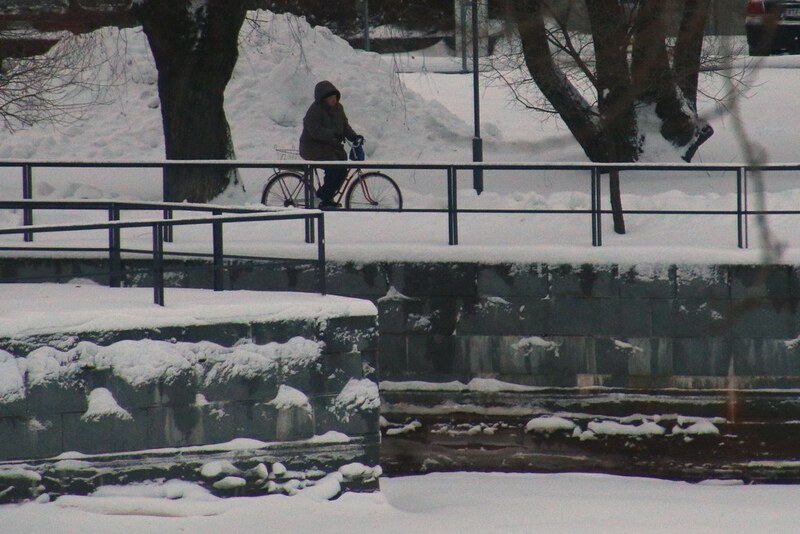 It was always so interesting to see Finnish cycling in this weather. 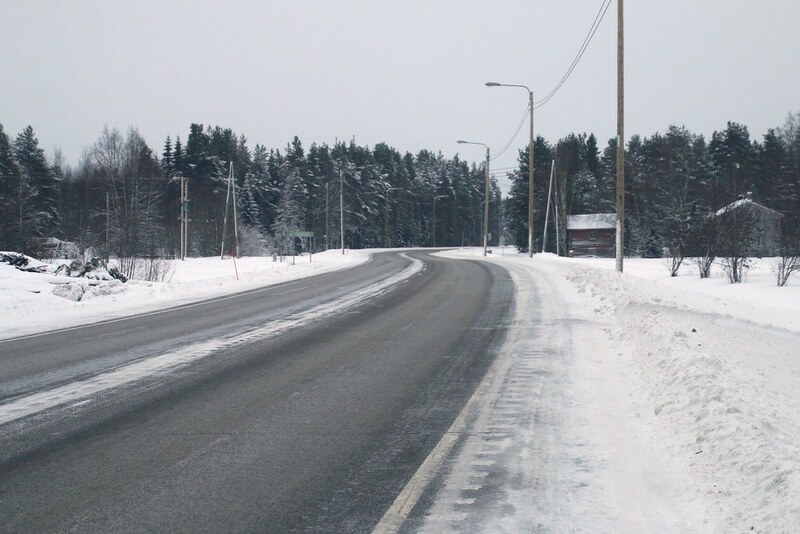 It looked like there was more snow on the road than one month ago. Frankly speaking the sign board for a bicycle was never helpful. There was only little small town’s name which I could not find on my map. 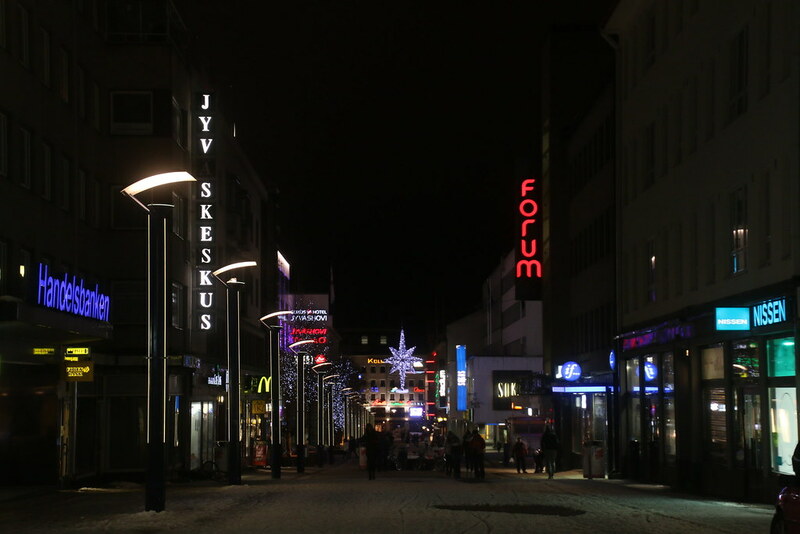 So, it took so much time to get out of Oulu which was a big city. I started cycling at 10 am and I finished at 3:30 pm just before the sunset, but I could cycle only 30 km (18.75 mi). 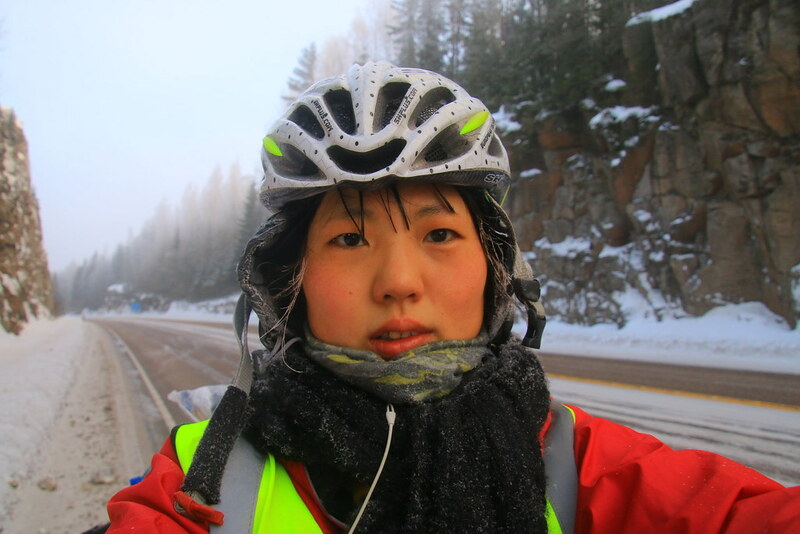 It was snowing and windy that I felt hard to cycle. 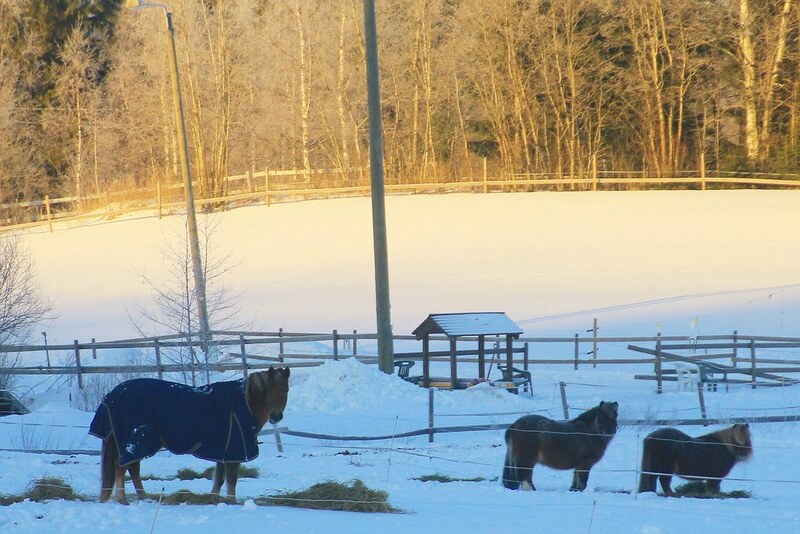 Fee like was – 20c (-4f) today. I thought it would be hard to find a place to sleep, because it was near the big city. But as soon as I knocked, I got a place to sleep at the inside. 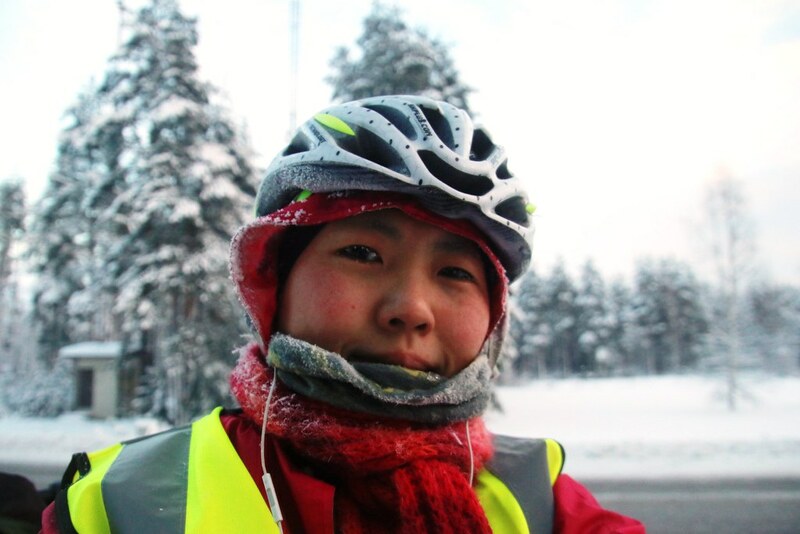 Okay… one thing was sure that I made a new record, cycling with the coldest temperature, -17c (1.4f). 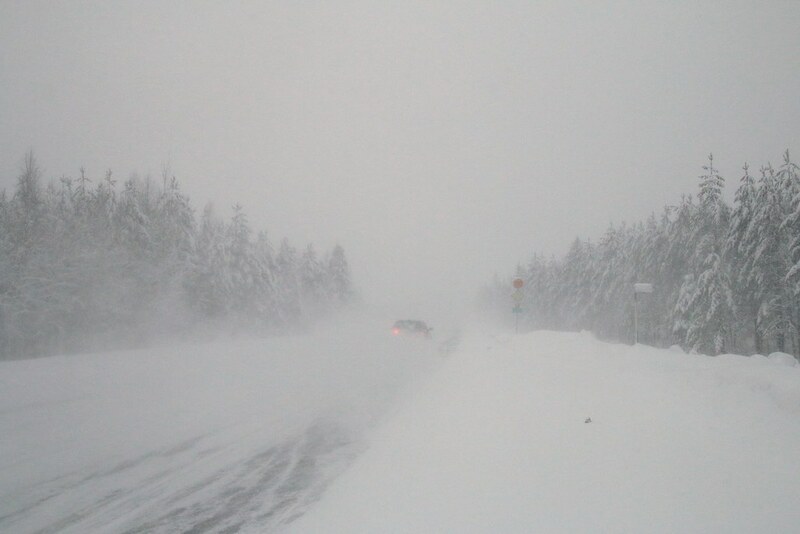 Actually colleagues in the hotel had asked me what my next plan was if I go back to the Central Finland. 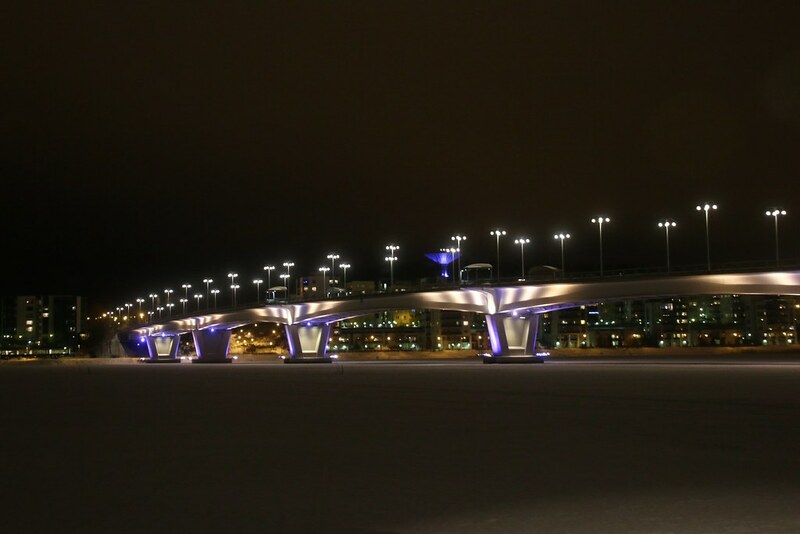 I had told them if the weather is too cold, I would take the train to Helsinki. But it was really cold as expectation. So, what should I do? First thing was to try. I would try as much as I can cycle. If it was too hard to cycle, then I would give up. I didn’t want to give up before I even started. I would only know of which I would succeed or not when I try. So I would try first. 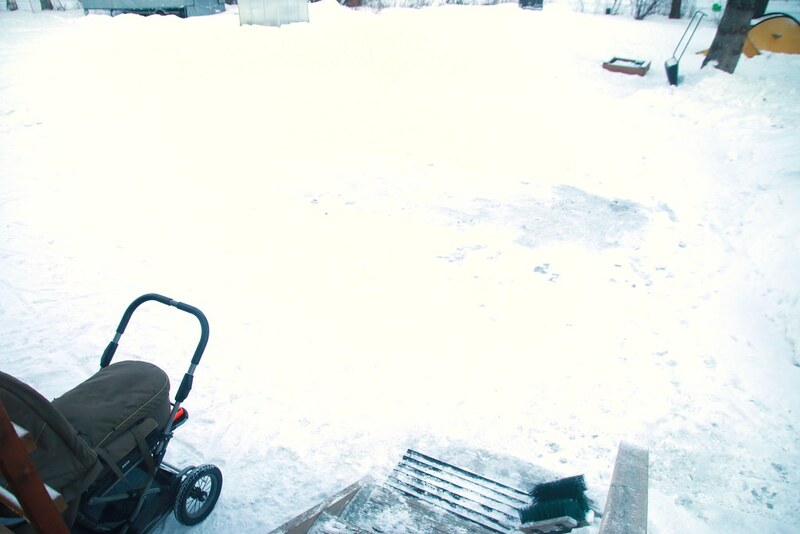 The children were playing at the outside in this cold weather. 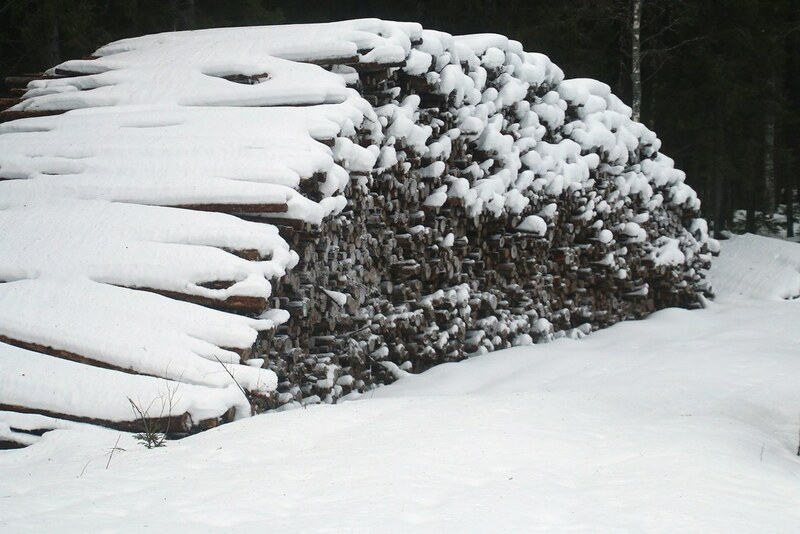 I thought Finnish people were really strong at winter. I had lived in Canada for a year. But at that time I didn’t think that Canadian is stronger at winter. Okay the thing was Canadian winter was much colder, but anyway I’ve never thought of what I thought now. 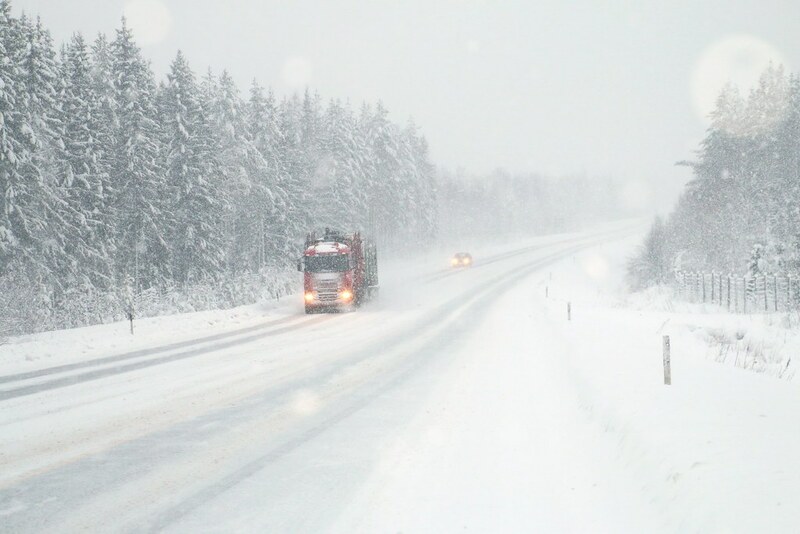 Finnish people were much stronger at the winter. 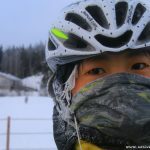 One thing was for sure that I didn’t see Canadian cycle in the winter whatever below zero. 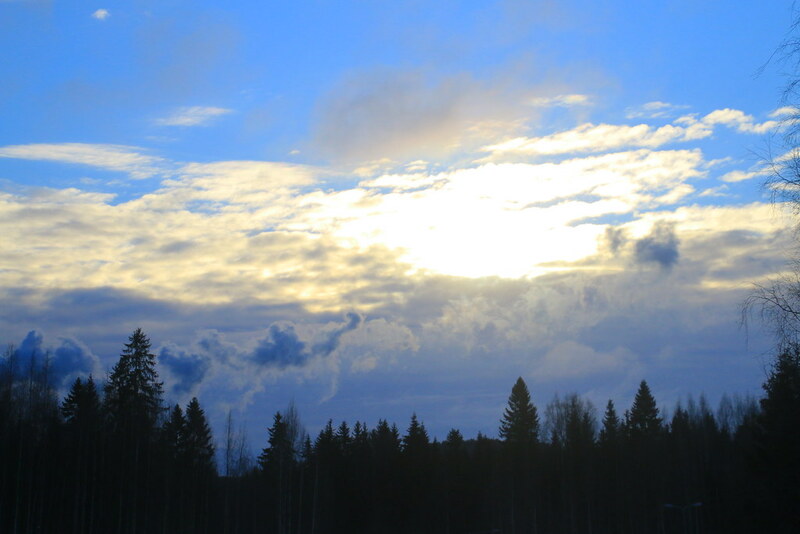 One month ago, there was not much snow in the Central Finland. 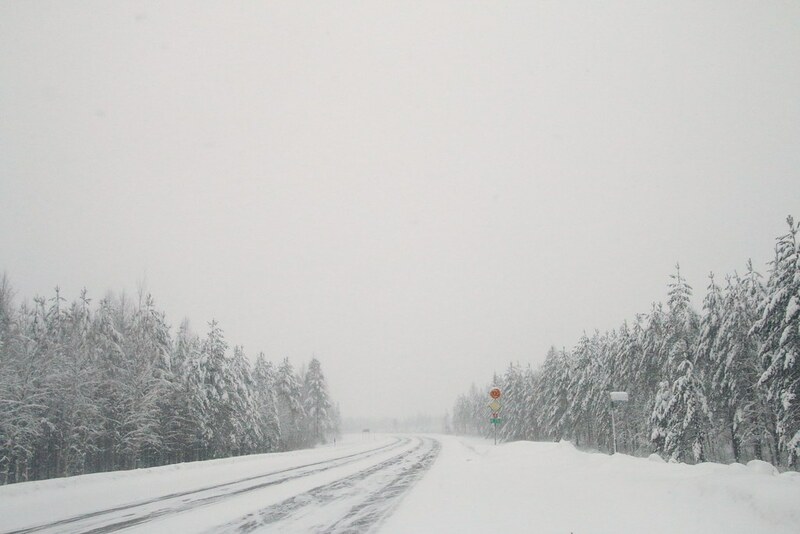 But now here was much snow like the northern Finland, Lapland. 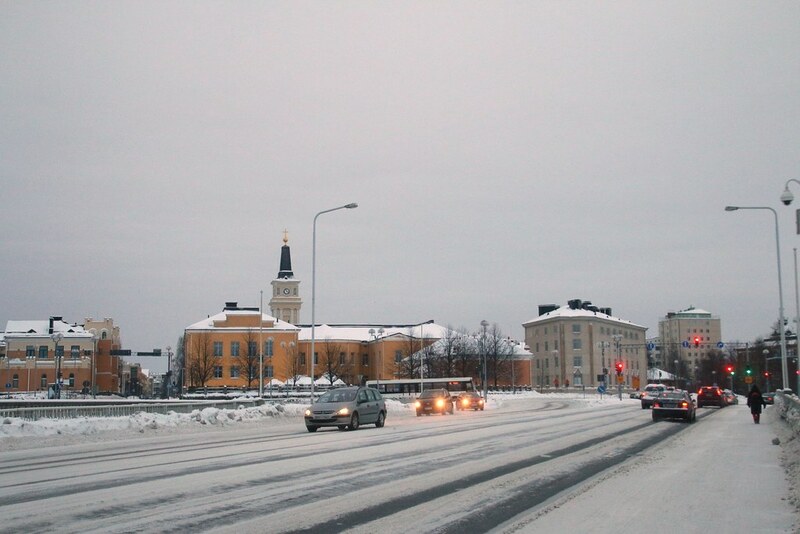 At the afternoon, the temperature was around -16c (3.2f), but feel like was -24c (-11.2f). It was not bad that I could cycle with this temperature. 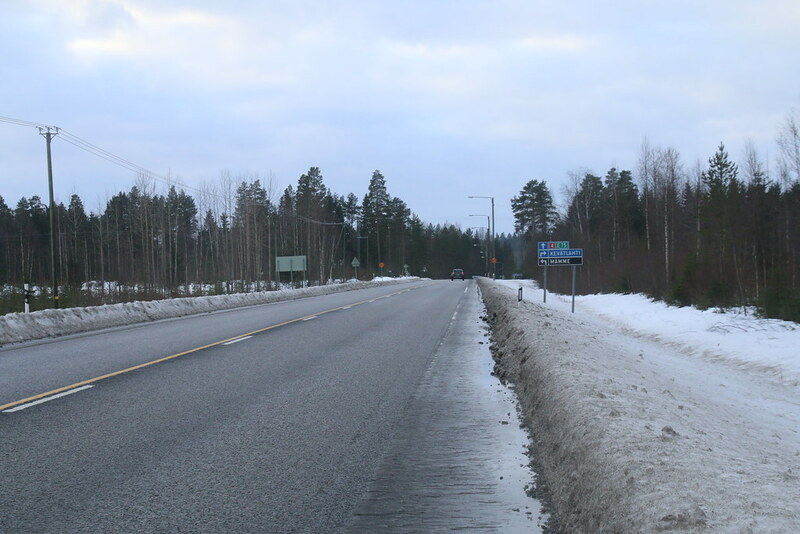 Today I was invited again like yesterday that I thought people in all regions of Finland was very hospitable. 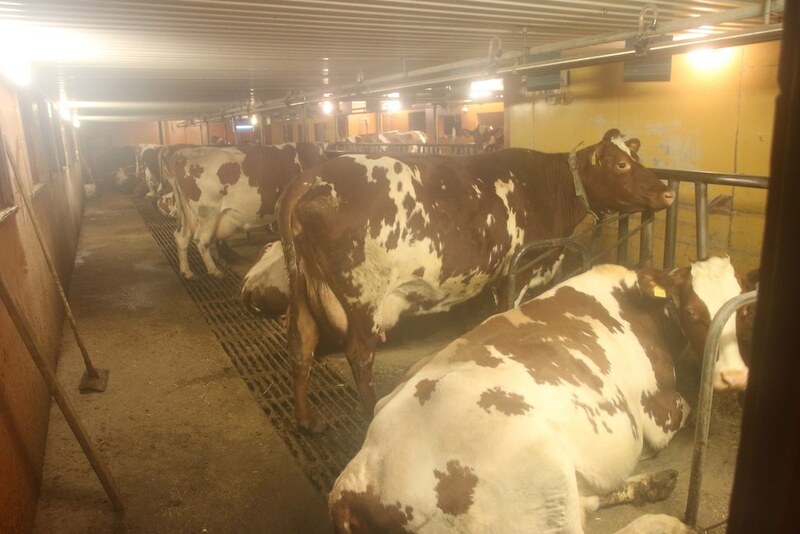 They told me that every day the biggest dairy company in Finland took their milk. 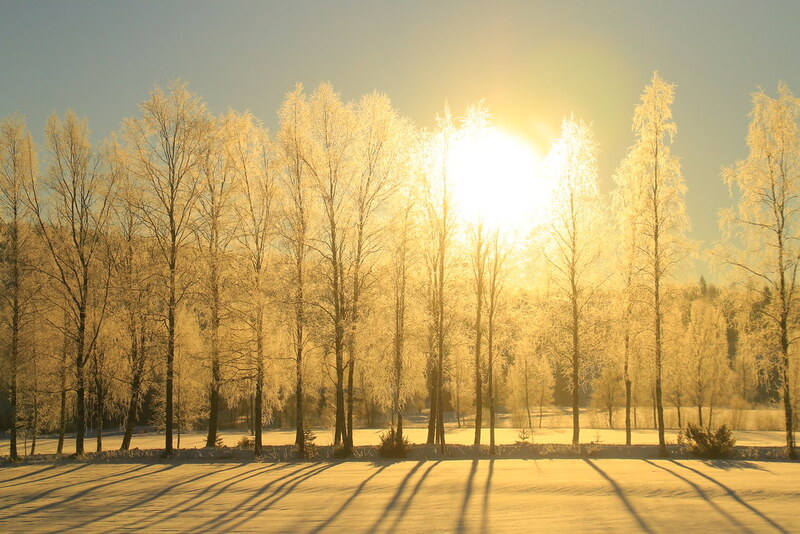 In the next morning I saw -18.6c (1.4f). I hoped this temperature was the coldest one.. no more record, please! When the sky was blue, then it was really cold. 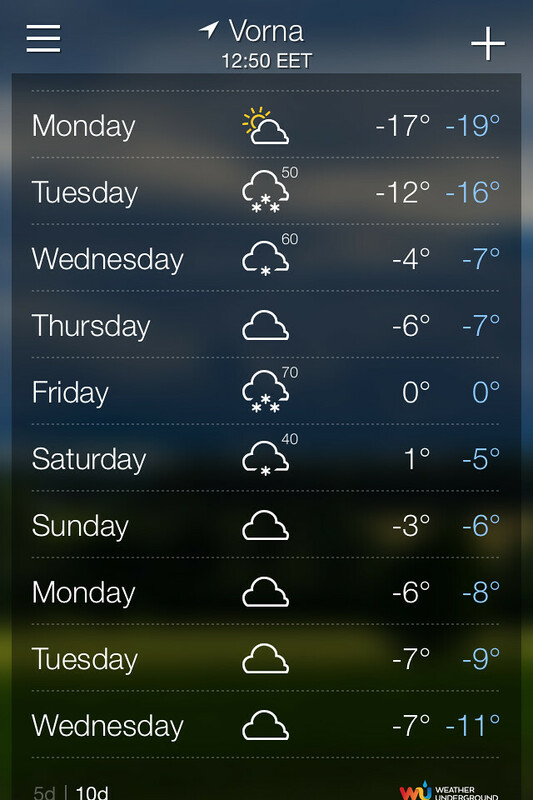 I checked forecast that the weather was up and down. 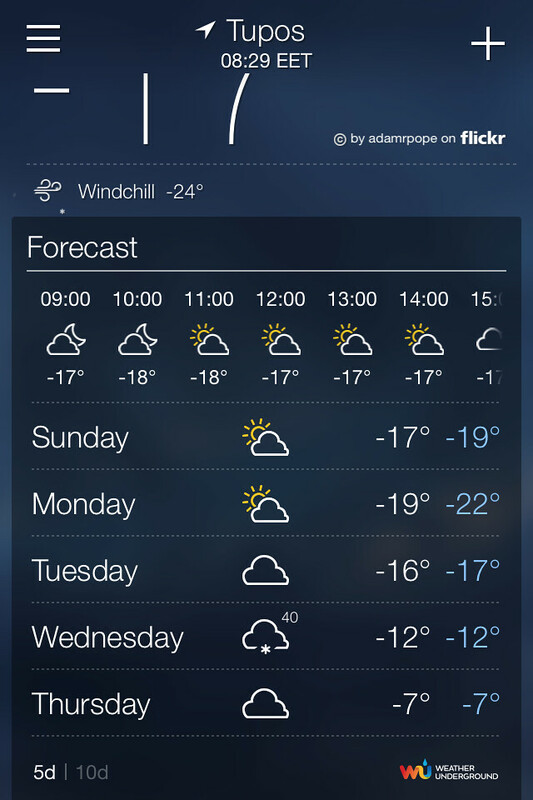 Now feel like was -26c (-14.8). Today my body was not good that I felt sick. I acted like a student who doesn’t want to do homework. I just killed the time at the hamburger store. After one and half hour, I got much better. Oh it was good choice to kill the time. It was hard to see, because of frost on my eyebrow. Oh.. I missed green color. 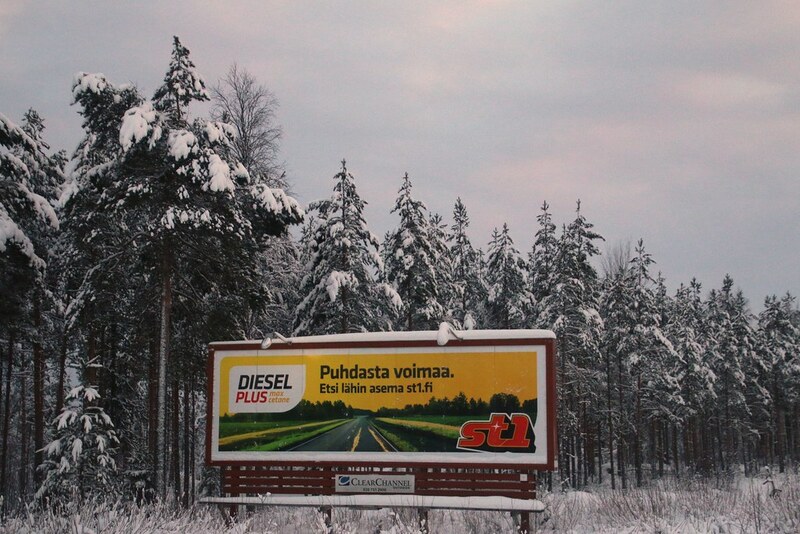 I thought the advertisement was not appropriate in the winter. I felt like the advertisement made fun of me. I could not find the place to sleep until 4 pm. 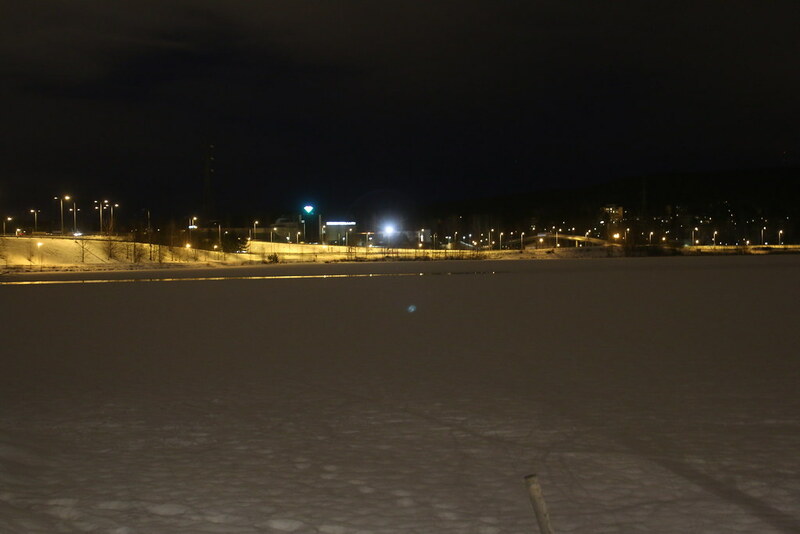 It was getting dark and -19c (-2.2f). Again I broke the record. After being denied for a few times, I was invited at the local people’s house that I could sleep warmly. Today was -12c (10.4f) but it snowed. I was denied many times today. 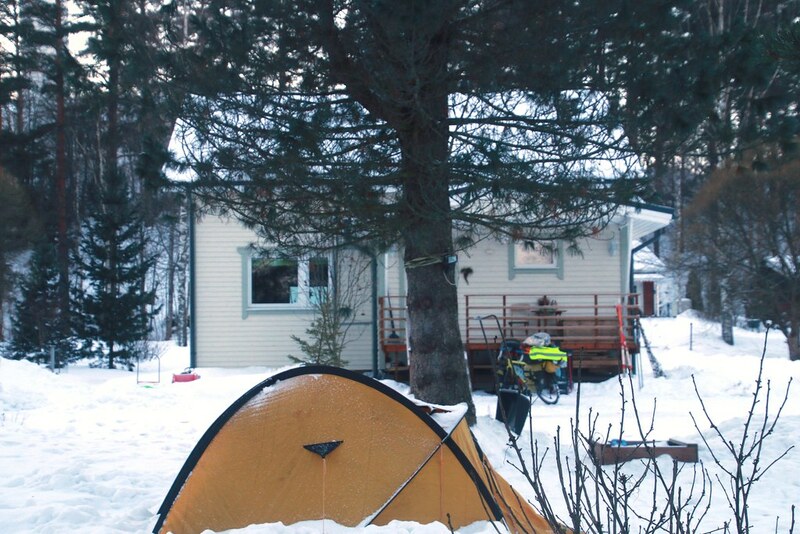 At the end, I got the chance to sleep at Finnish house in a very small village. There were three children. 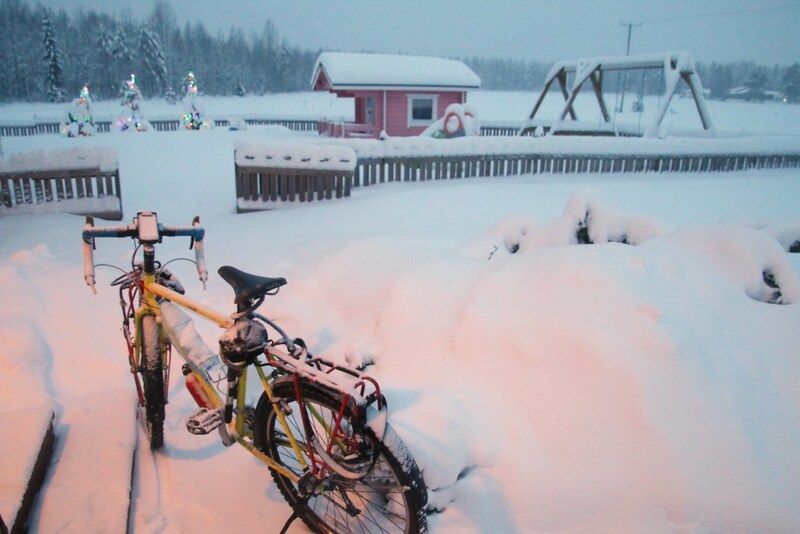 Next day there was snow on my bicycle. If I came here one month ago, here would be no snow. I thought I was a bit late to cycle. 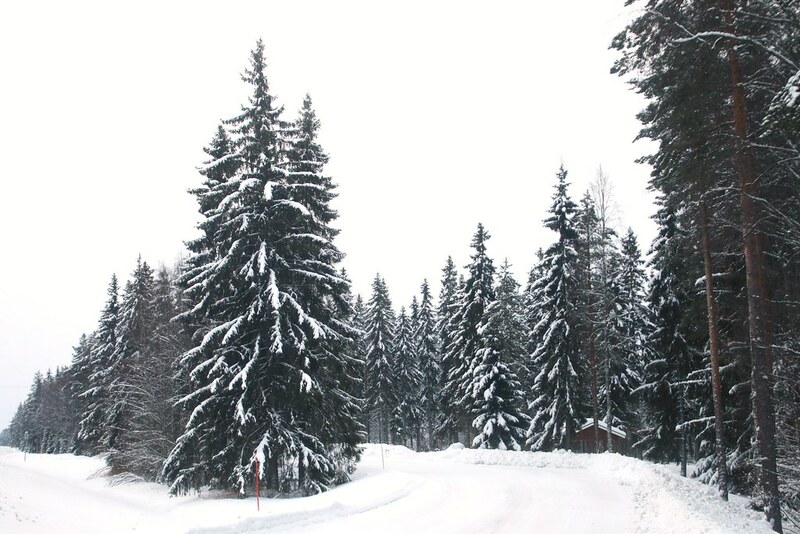 But actually I loved snow, because the landscape looked more beautiful. Snow could make the scenery pretty. Like weather forecast the weather was getting warmer. 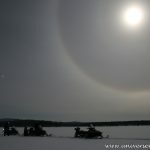 Today was around -8c (17.6). But the problem was the snow. The snow was too light. The most thing I didn’t like was when a truck passed on this kind of condition. 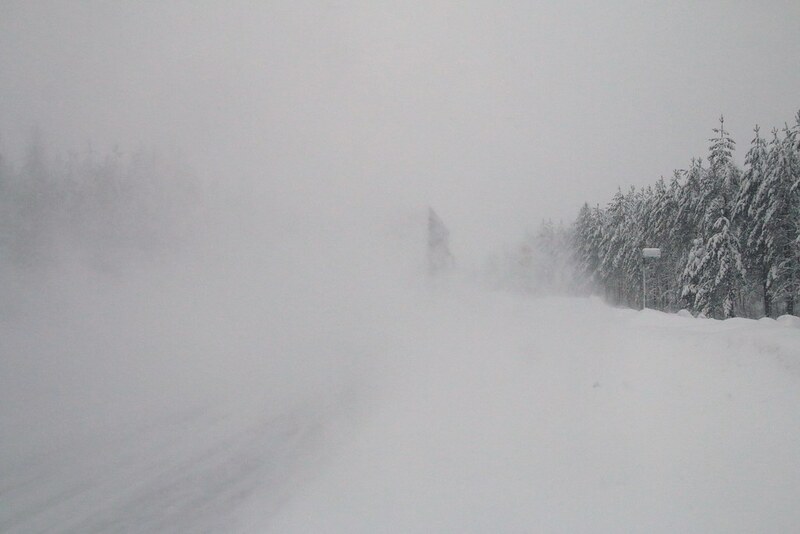 There was a big snow storm when the truck passed, which made the next car blind. It was too risky for me because the next car can close to me and…. But anyway there was nothing to do except wishing luck. Two days ago the local people who hosted me gave me thermos as a gift. So, now I could drink water even at the afternoon. Usually the water was frozen in the morning that I could not have water later. 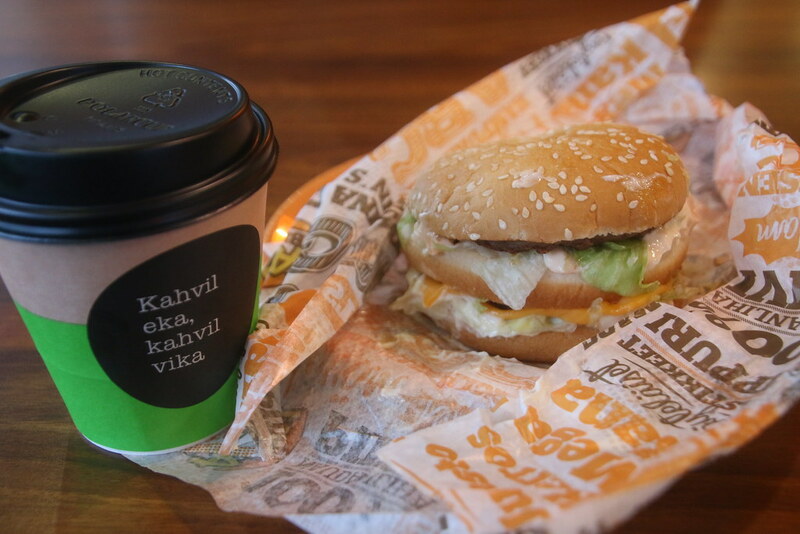 I had hamburger and coffee to have break time. I was impressed with gorgeous scenery. I had to hurry before the dark, 3:30 pm. But this time I got what I really asked. I set up my tent at their garage. 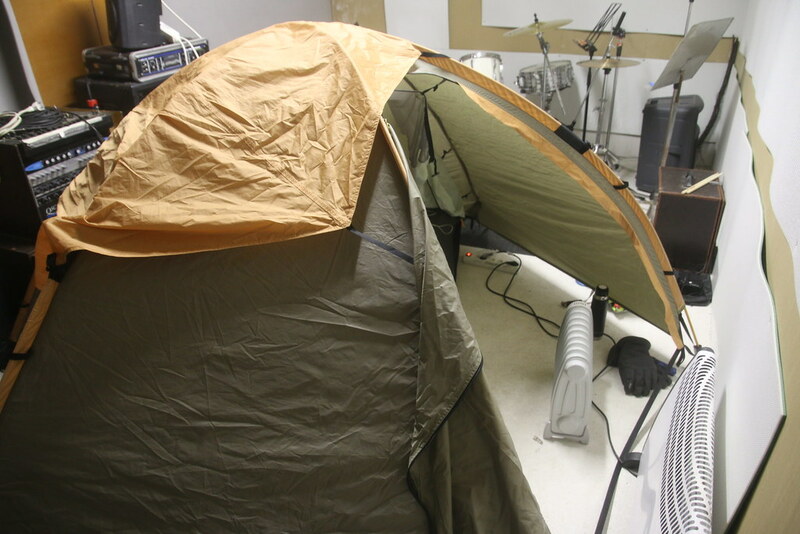 It had been long time to use my tent that I had another hard time. This tent’s pole was too strong to set up quickly. I was struggling for an hour to set up my tent. 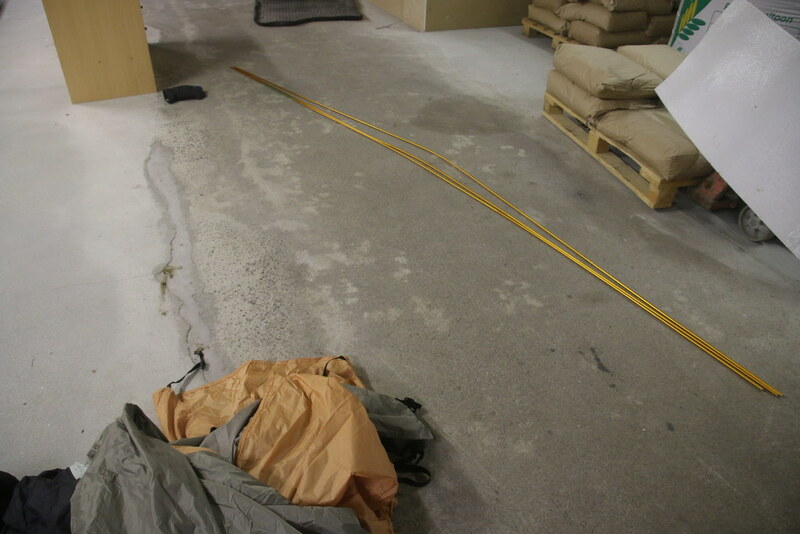 I was too weak for this tent…..
Another small room at the garage was the place for dad and son’s band. They let me to take shower at their house and offered me a nice dinner. They gave me two heaters that it was quite warm to sleep. 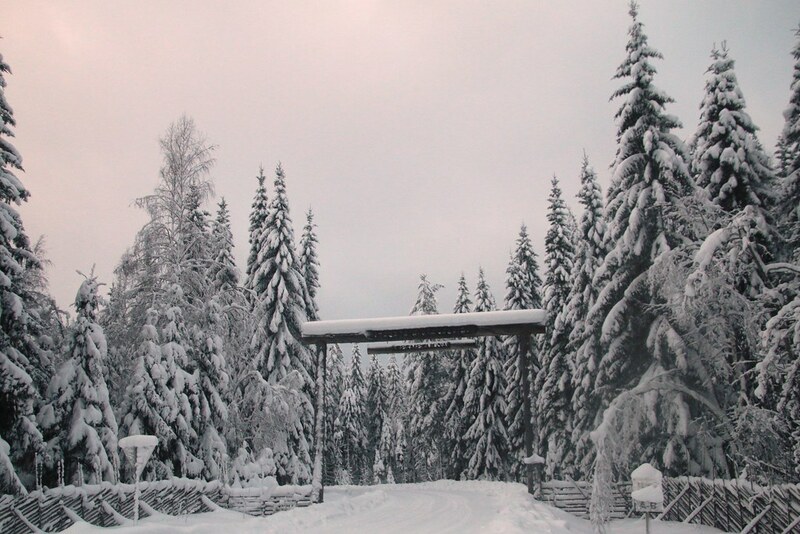 At the next day it was -1c (30.2) and it snowed lot. I searched for the cheapest food in the grocery. 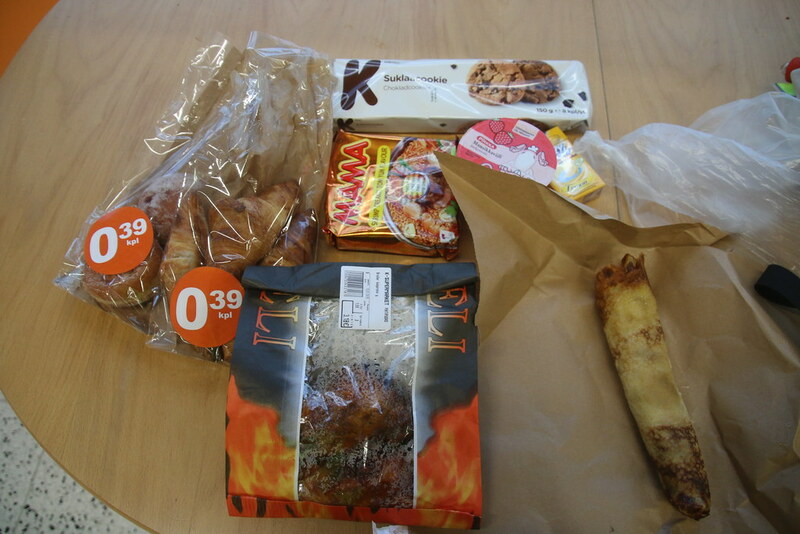 What I got was a croissant for 0.39 euros, chicken for 3.18 euros, and sandwich for 3.99. Roll sandwich was not tasty. I had to stop at the city in which I thought it would be hard to find a place for sleeping. I was walking around the city, and one family which was walking with their dogs asked me “Do you need help?”. “I am looking for some public place to pitch my tent.” “There is a hotel near here” “Hotel is too expensive for me. Thanks.” Then I kept walking around. Later I saw them again. It looked like they made a round trip to their house. They talked to me again and suggested me to sleep at their house. Wow!! 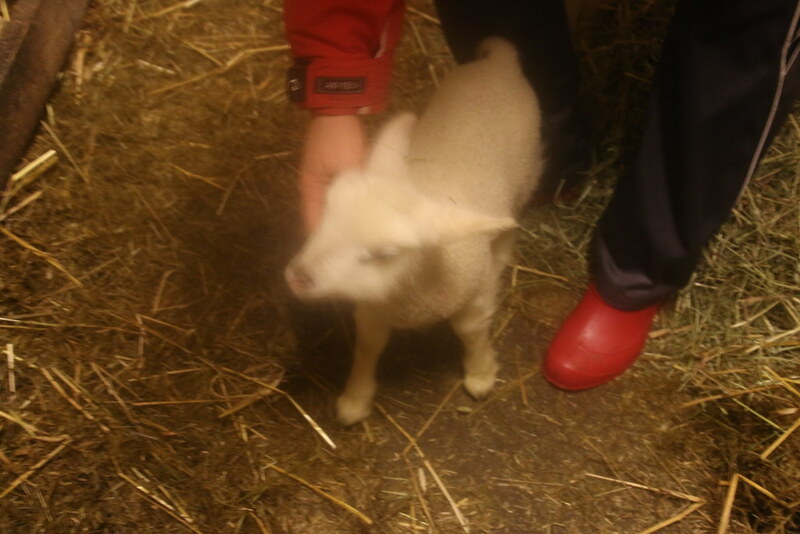 So many kind hospitable people in Finland everywhere!! Actually I had had the problem with allergy on my face. It had started one week ago before started cycling again. Suddenly my right ear was little bit itch in the morning a week ago. And then the next morning my left ear was little bit itch as well. Then every day it spread around my face. On fifth day I realized that it was serious illness. I’ve never had any allergy in my life that I was too nervous and worried. It was my first time to see this much big face. Even it was hard to open my eyes. It drove me crazy because it was too itch and painful ever. 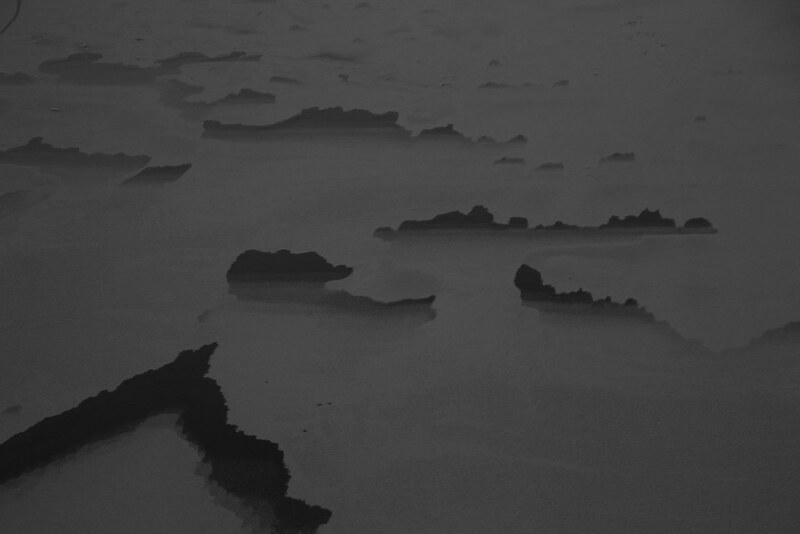 I closed eyes and imagined to meet a doctor in the hospitable. Then suddenly, tears were streaming down my big face. I decided to go to the hospital whatever expensive. I was willing to pay around 60 $. The host who invited me last night called to a local hospital to ask how much it was for me. As soon as I heard the price, I quickly gave up seeing a doctor. She told me it would be around 200$ to talk to the doctor one time. She told me usually local people pay around 30~50$. I didn’t complain of it, because local people paid a lot of tax and I was not a local person. So I went to a pharmacy. Thanks that at least the tablet was not expensive. I actually talked to a pharmacist over 10 minutes. It was exactly the reason I wanted to go the hospital. I just wanted to talk to a professional “I AM REALLY SICK!”. To see a doctor was like to see a mum. When somebody hears my pain, then the pain goes away for that moment. A pharmacist was very patient and kind. She looked very young and her looking was similar to my host in Ivalo whom I met in the information center and she visited me when I was in the hotel in the north. So, I felt more friendly to the pharmacist. The pharmacist told me there would be too many possible reasons to cause allergy. Also she told me she saw the person who had similar swollen face like me. I did thank to her who listened to my complain for minutes with kind face. There was interesting thing that there was a robot which took the pill at the inside. I liked to see human’s eye when I talked and to watch human. But because of my face I lost confidence to see people. I just looked only the floor and hoped people didn’t look at me. 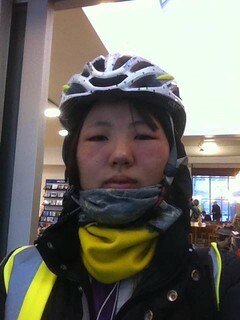 I am Asian, who don’t suffer from allergy usually. I couldn’t understand why too many Caucasian were suffering from allergy. Now it was time to understand them. ‘The sick people can only understand the other sick person who has the same pain.’ It sounded true. 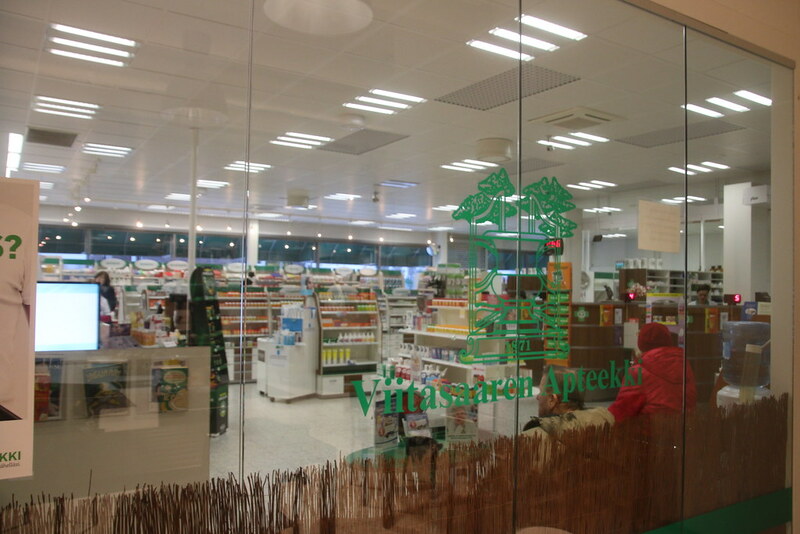 The upper picture was taken in Smarket which was Finnish brand and very popular. 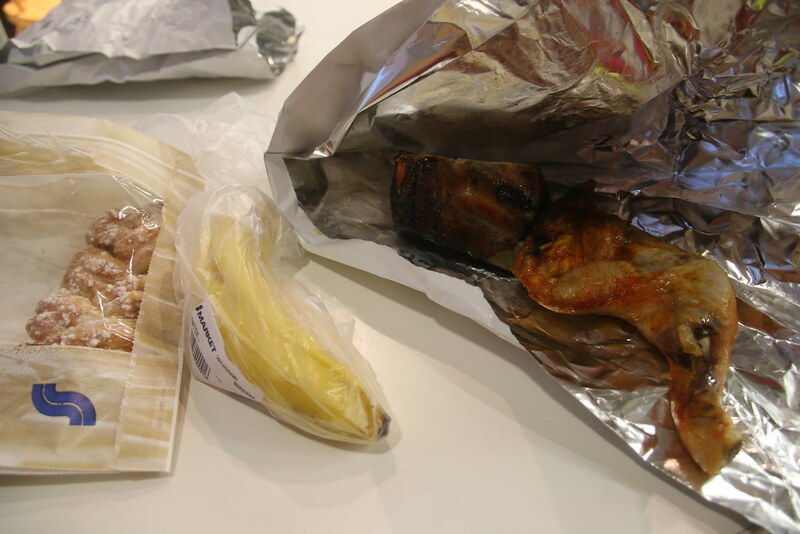 I was walking in the market with looking floor and found the cheapest food. A toilet in the building which had a pharmacy was 1 euro to use. 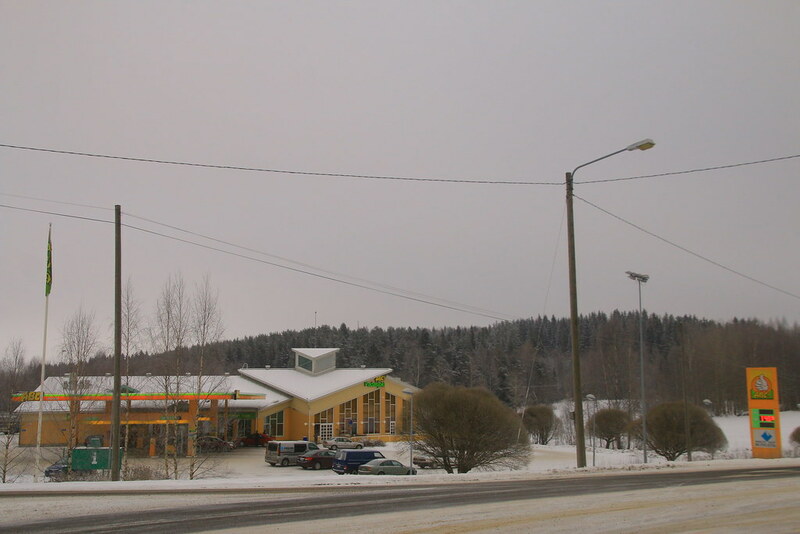 But I knew that there was a big grocery near here and usually always the toilet was free in the big grocery shop. After shopping, I went the toilet to wash my hand and use the cream on my face. On the picture, there was gambling machine at the right. 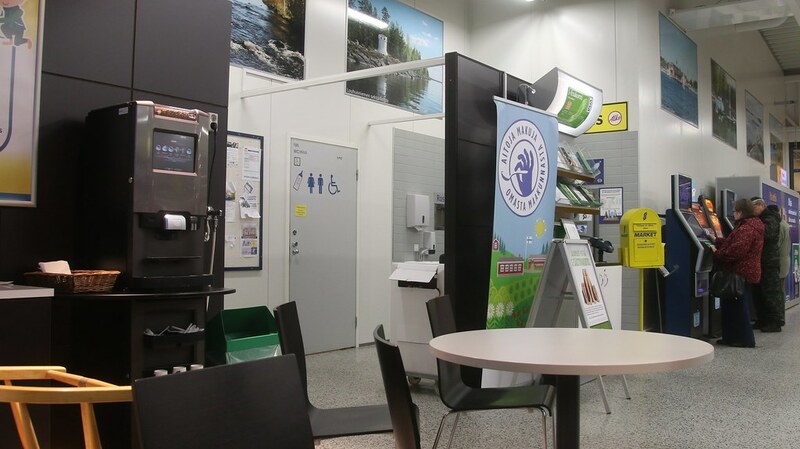 Since I got to Finland, I had always seen that machines in a gas station, bar, and grocery shop. I was surprised to see it. I thought Finnish would satisfy their life because their government gives them much welfare which our government doesn’t do. So, I thought they don’t need gambling. Many local people told me “There is no any cheap thing in our country. Everything is expensive.’ Is this the reason everywhere there are gambling machines? But actually I saw that the most of people who played the game was an elder people. The time when I went to the grocery or gas station was a daytime and many of people I had seen was usually elder people. So, I don’t know how it would look in the night. Today was very warm that it was only zero (32f). But it snowed too much in the morning!! 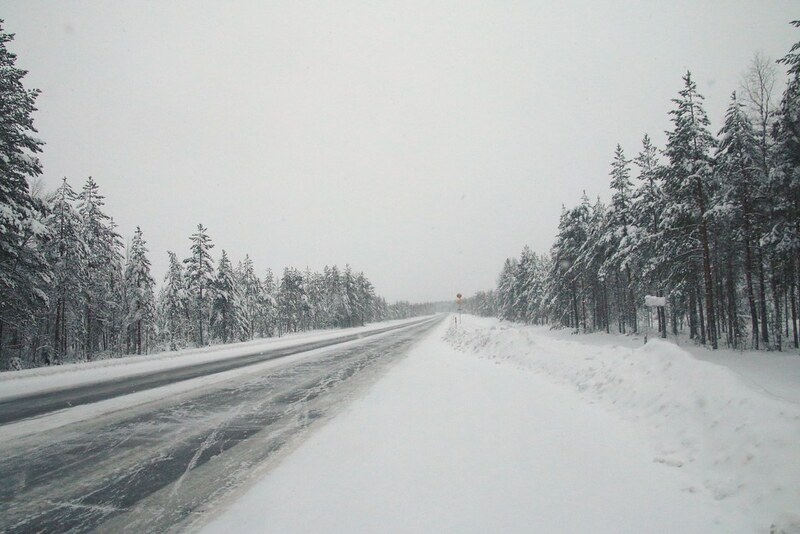 I was too afraid because when I was hit by car in Russia, it snowed. Actually these days it snowed more than that time. Really almost every day it was snowing. 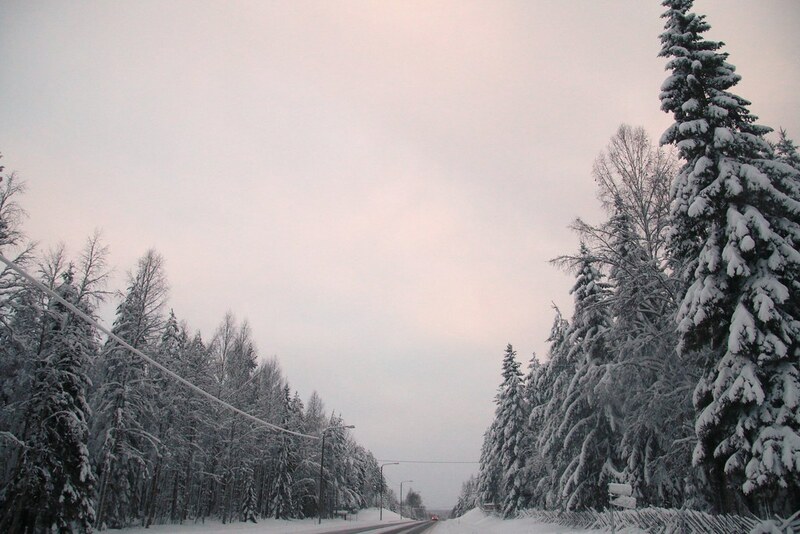 Middle of winter in Finland…. 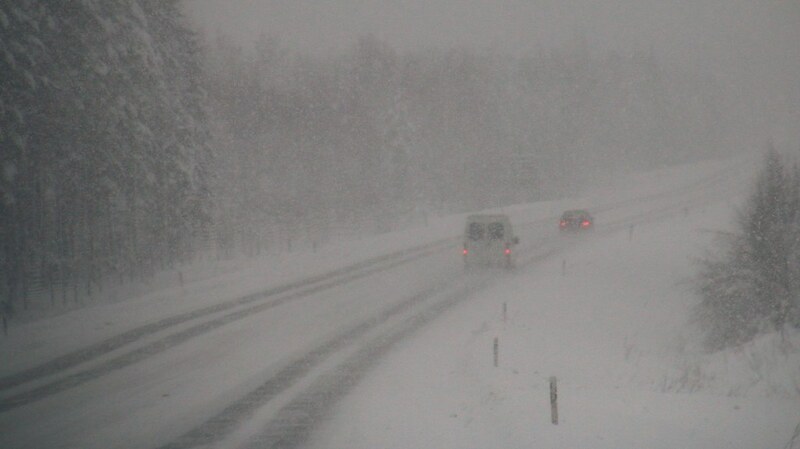 It was hard to see the front with heavy snow. The only thing I could do was to cheer myself up with positive word. This picture showed that the snow was coming from the front. Proof..The snow was at the front of bags. 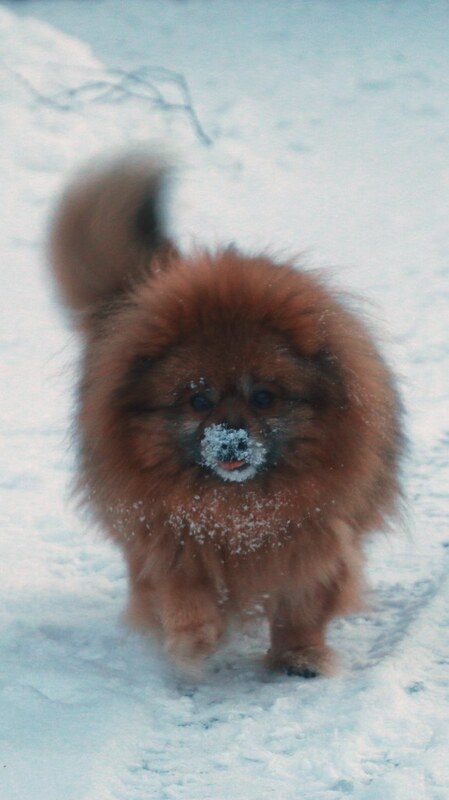 The snow hit my face hardly that my itch face was more painful. The medicine didn’t work out. At the afternoon finally scary snow stopped. I was invited by local people again in the night after knocking the door. It looked less snow on the road as going to south. 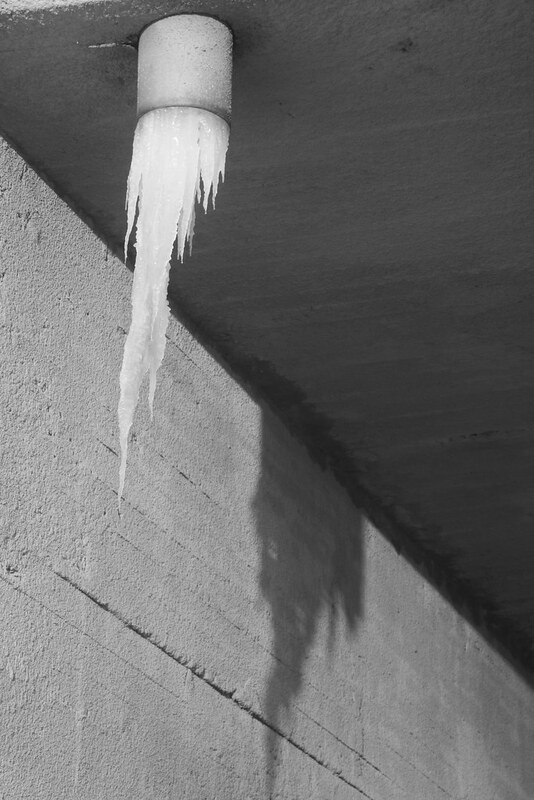 But there was smooth ice on the shoulder that I had to share the road with cars. I did hope drivers share the road with me kindly. 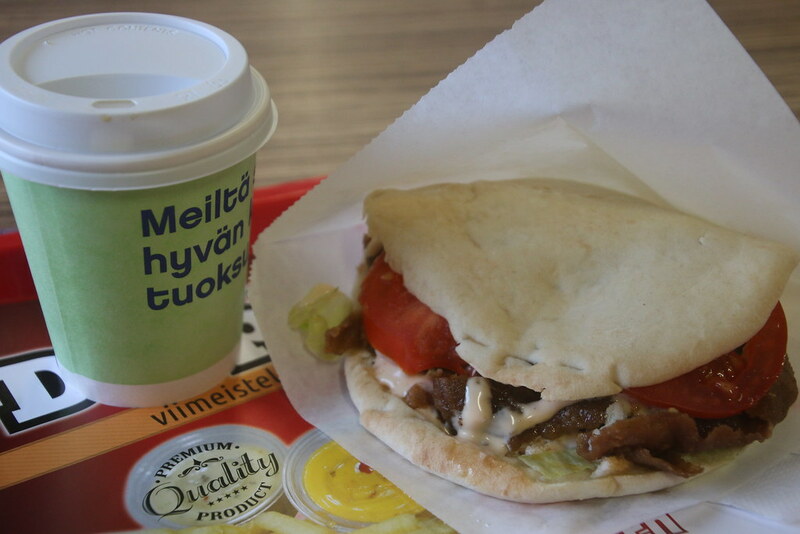 At the gas station I had a kebab sandwich. Oh, it was so good because it was big enough. The most important thing for food is not quality, but quantity. 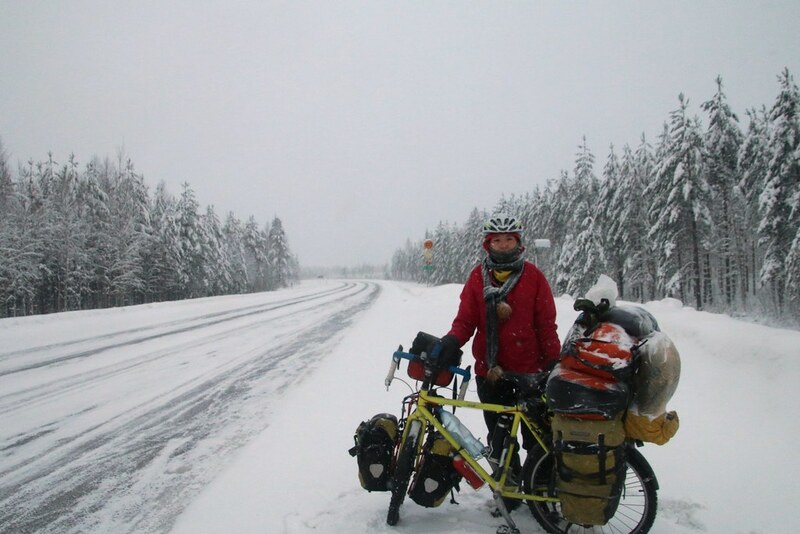 Rolf in Oulu posted about my story in Finnish cycling forum. One of reader invited me at his house. So, I didn’t need knocking somebody’s door tonight. My host was generous. He showed me around the town kindly. He told me he cycle to his work every day. He was typical Finnish guy! 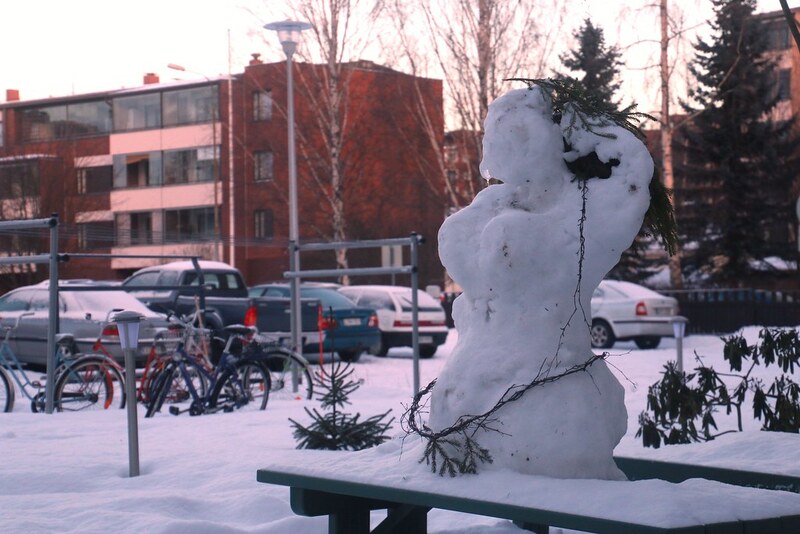 The snowman I’ve ever seen in Finland was only this one. 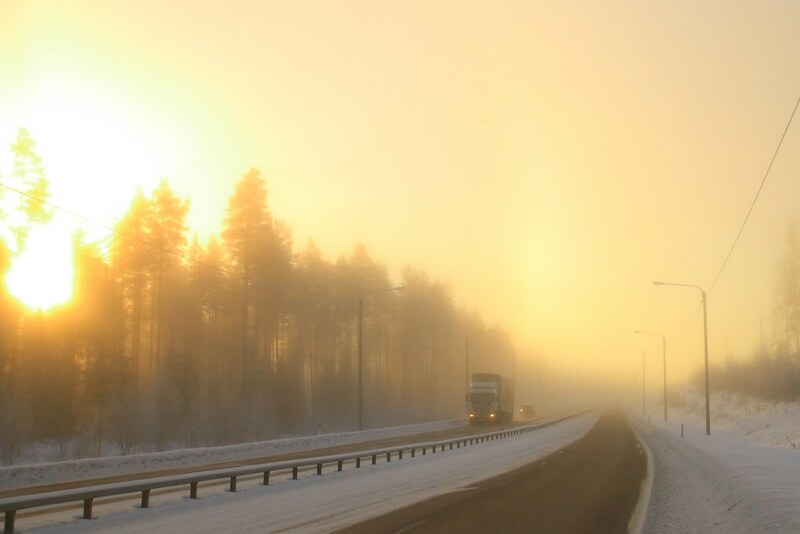 Today the weather was -10c (14f). Oh…. Two days ago it was zero! How come.. again cold. There was a big hill that I pushed my bicycle, which was not normal. Usually I didn’t push my bicycle these days whatever how hill was steep. I was too tired maybe this time. It was around 3 pm, but I only cycled 18 km (11.25mi) today. I thought I had to cycle more, but then the sun would go down in one hour. How long could I go further for an hour? I decided to take this luck. “That would be great. Thank you for inviting me” I said. Her first baby was doing cross country ski. 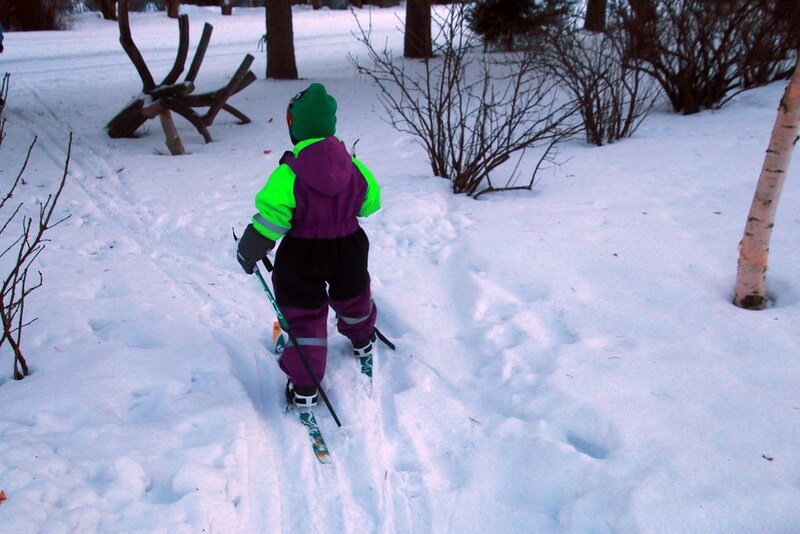 It was interesting to see a little kid could do ski. 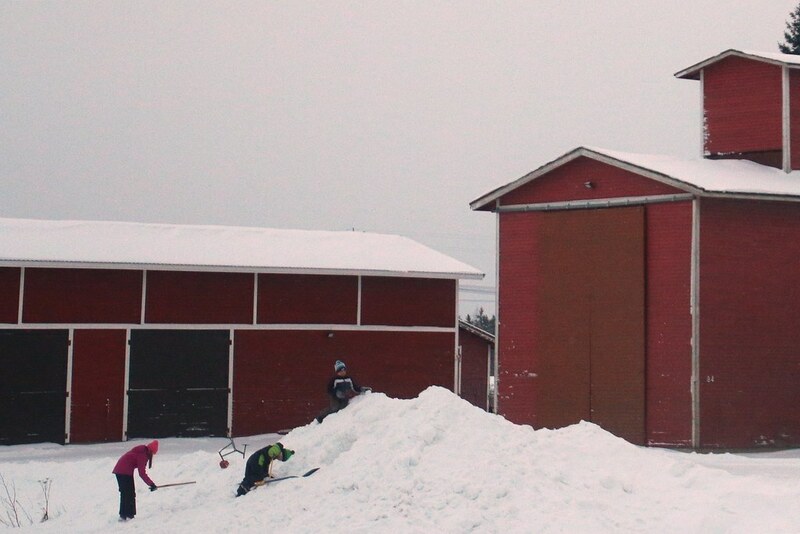 She told me there was 2km of ski track at the behind of her house. She said that an orange tent would be my place I could sleep tonight. She told me that she would put the dog in my tent. I am just kidding. lol….. The tent was for her child who liked playing there. 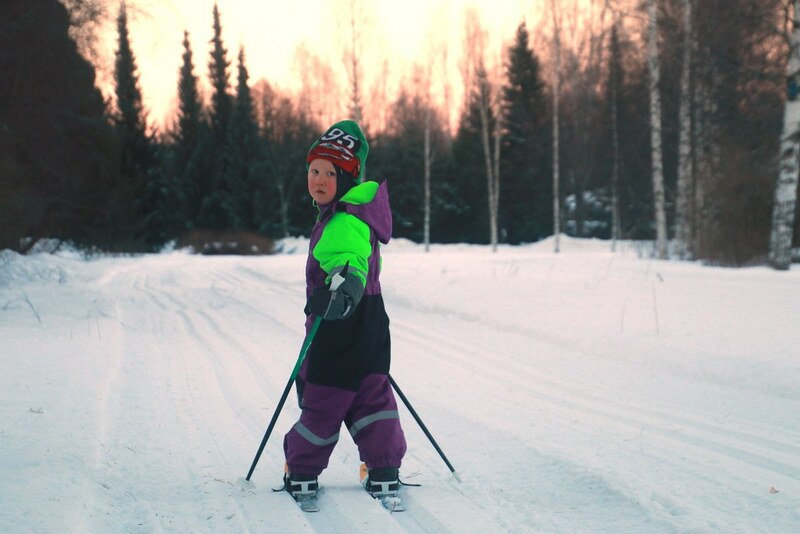 Always I was surprised Finnish kids playing in this cold winter. 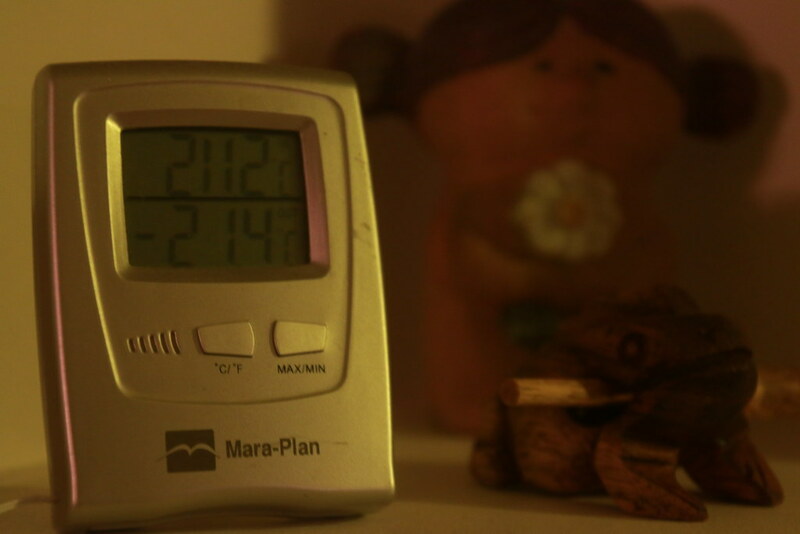 At the next day it was -21.4c (-6.52f). Oh..
Should I be happy? Because I broke the record…………? 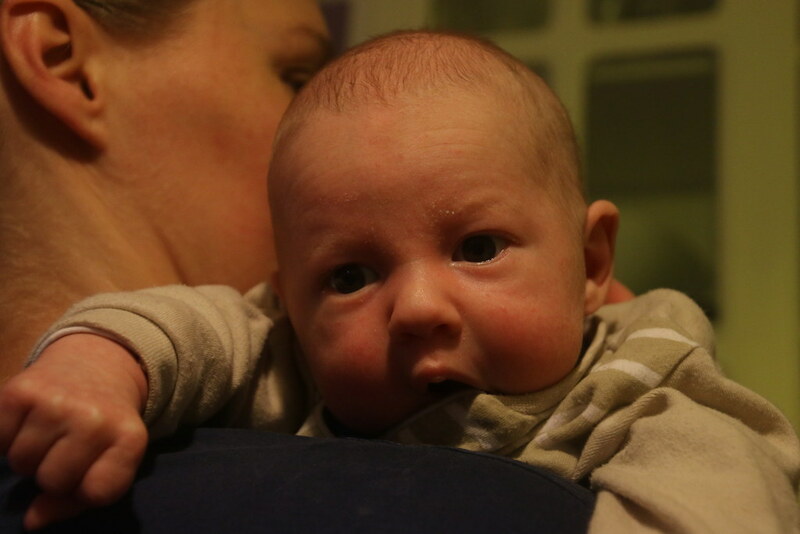 The coldest temperature I’ve cycled with…..
Just before saying good bye, I took the picture of her new baby. The host’s name was Maija. She actually traveled the world two times. (Each for a year). The first time was alone and the second time was with the husband of now. She told me she got many helps on her trip, so she wanted to give it back as hosting me. She was very brave. She carried only sleeping bag without a tent and slept in the forest for many nights in her trip to save money. She said she was not afraid because she thought nobody would know she was sleeping in the forest. She also didn’t mind dirty condition in India. She was the complete opposite of me that her character was perfect for traveling around the world. I am not. I am just trying. But she didn’t need to try, because her character was very fit for any condition. I hoped my future would like her. 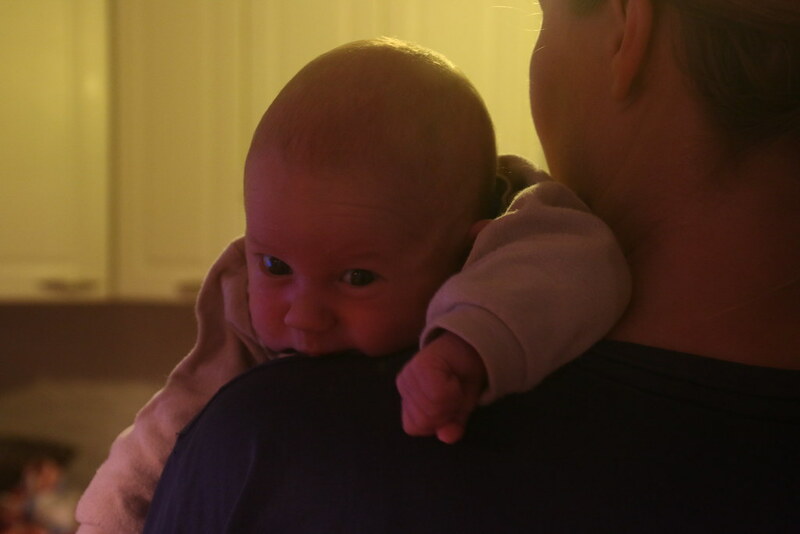 Yesterday and today morning, I had the chance to hold her baby for a while. 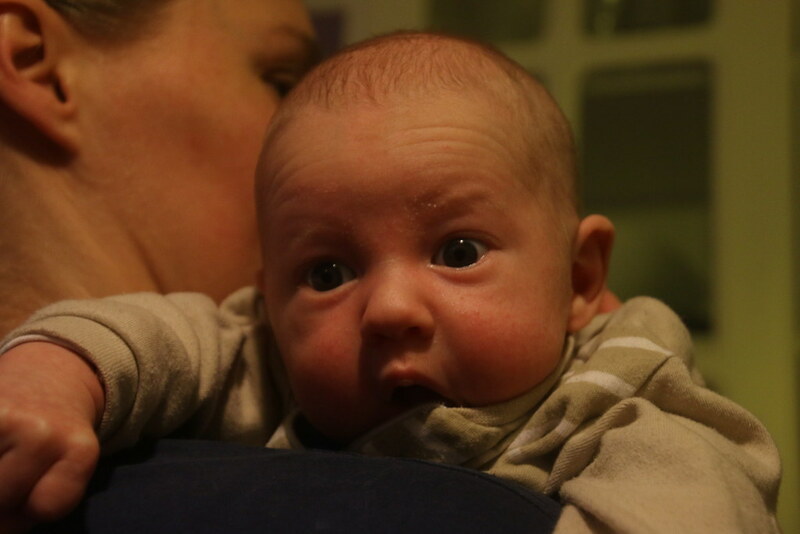 There was very special smell from the baby. I felt very peaceful as holding her baby. I wish I can have a baby like this in the future. 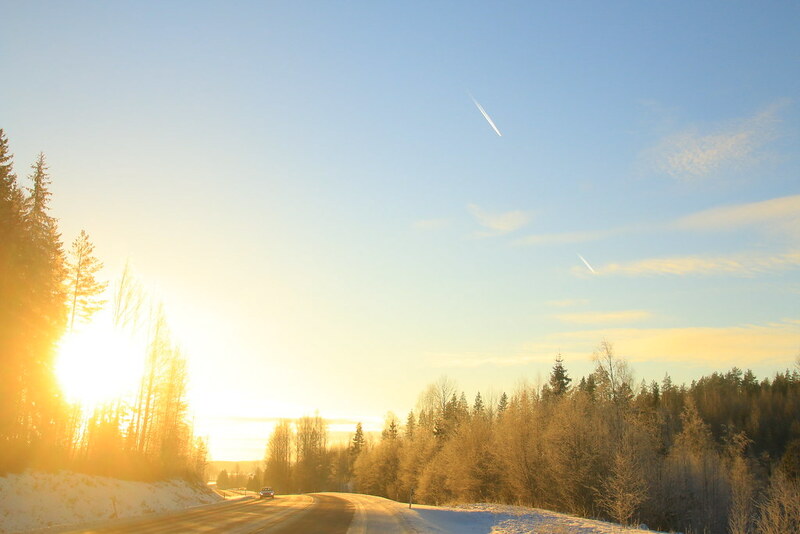 Today morning I started with -21c (5.8f). I felt much better that allergy was calming down. I thought that the tablet stopped allergy spread. It was so shiny day. This was the reason why today was too cold. The sun went up around 11 am. It was really surprising morning because it was long time no see sun. I stopped to see the beautiful sun. There was a hill, so I sweated lot. Actually my windproof jaket which cost only 15$ kept the body temperature very well. So, I could say this 15$ windproof was good for -20 c (-4f). Of course I wore something at the inside which was also so cheap. Sometimes cheap one can work well. I missed the sun so much. I wanted to see the sun more than Aurora these days. 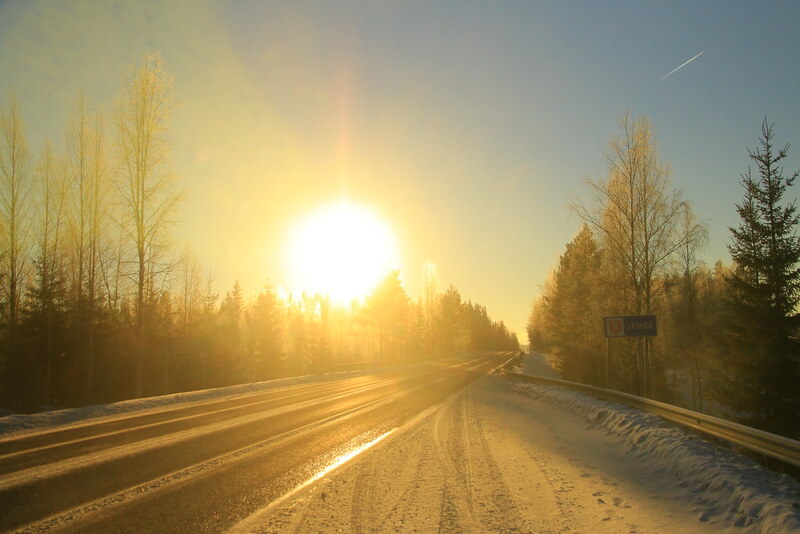 Finally I saw the sun after two months. Sometimes I forgot how amazing the earth is.. The sun went down soon.. I would remember today as how much the sun was amazing. Two airplanes were flying together. In the night I was invited at local people’s house again. Then at the end I slept in a jail. I was too shocked to sleep. So I opened my computer and wrote memo. I would copy here. I didn’t posted it on facebook, because facebook’s feedback is too exaggeration(sensitive?) sometimes. I don’t only share the happiest moment or hardest moment on my blog. I just share the moment of my trip. 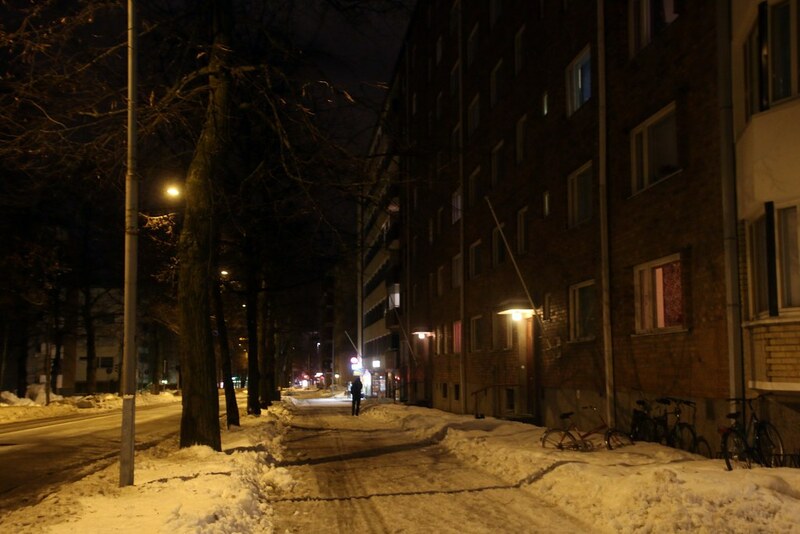 This is Finnish jail in the city. I slept in a jail on 21st. What happened? I knocked the door at the end of cycling. And old guy came out and he invited me as like other Finnish. 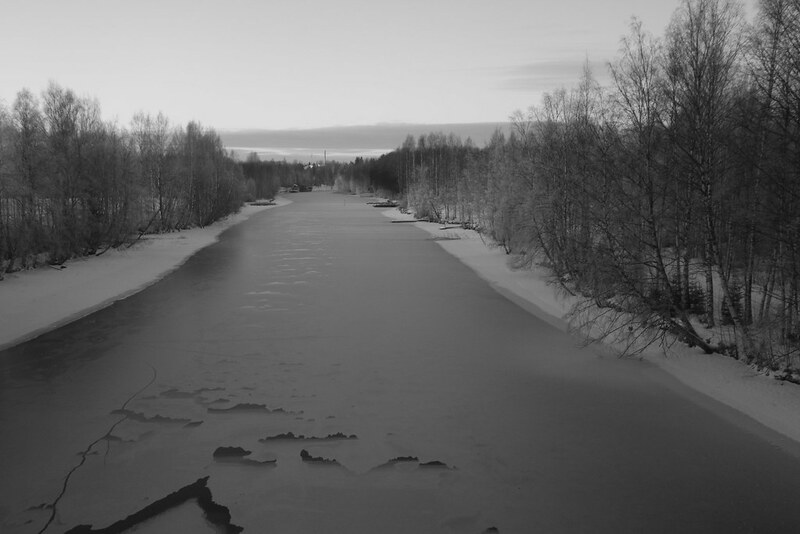 I felt weird from the first, but I thought nothing would happen because here is Finland. But his behavior was really weird. He offered me sauna. During sauna he opened the door of washroom and said something and I said nono I am still in. And then he went out. He didn’t see my body. But I felt too weird. 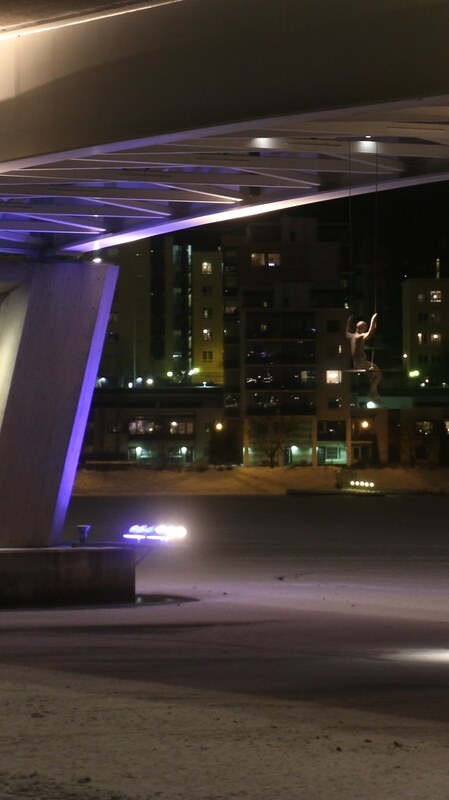 I told about it to other Finnish later and they said to me totally he was wrong and weird. I thought he was getting drunken. Later I felt too scared and I decided to run away. I tried to take all my luggage on 9 pm, but it seemed he got mad. (He didn’t speak any English and it made me scarier because I didn’t understand at all what he shouted at me.) So I took only jacket without gloves and went out suddenly and took the bike to highway. 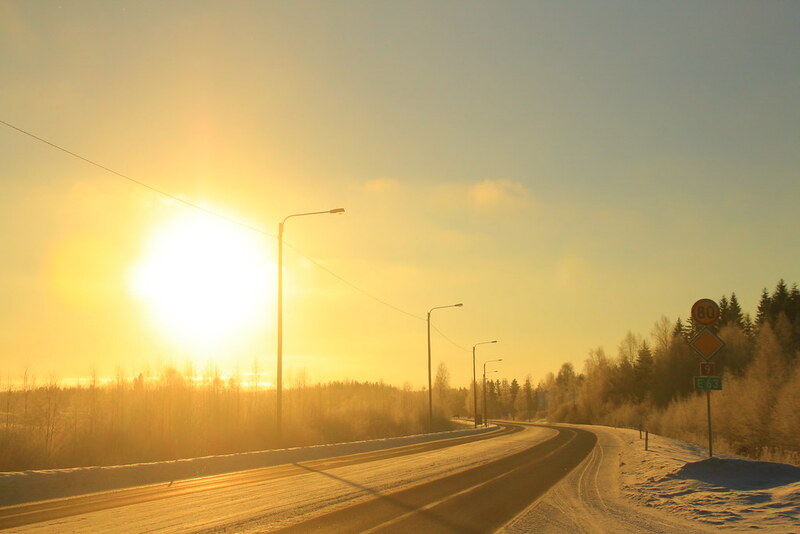 I stopped a car after 10 minutes at -20 c (-4f). A driver called the police and police came later. 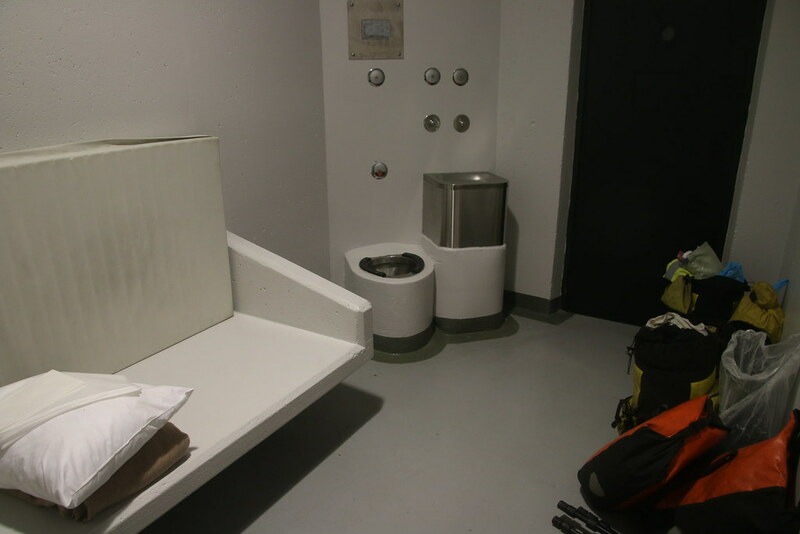 Police helped me that they went to drunken guy’s house and took all my luggage and brought me to Jail where I could sleep warm and safely. I didn’t report and police didn’t ask me to report because nothing happened. But if I didn’t run away, oh.. I don’t want to think about it. I heard from other local people before that if thief came to his house, he should only watch and call the police. If he fight with thief, he will charge in a jail. He told me Human rights is too important in Finland. I was so lucky to know it before. If I used pepper spray at him later, I would be in jail as criminal. After 3 years and 5 months cycling in Americas, Africa, and Europe.. one scary bad time came to me. But nothing happened. I did appreciate to him so much. Blaming cannot cheer me up or change me. But warm word like his word can make me help. The thing I need for the trip was warm hug or word. That’s enough. I told few Finnish about it, nobody blamed me. I really appreciated it. I could not sleep at all last night. I had thought I would take rest at the hotel even if it cost over 100$ for a night. The jail was actually in the city which I had passed 25 km (15 mi). Now I had to cycled 25 km again and even I had to passed his house. But the kind police took my luggage and bicycle on the car to far from his house. Now everything was behind. It was time to go toward. 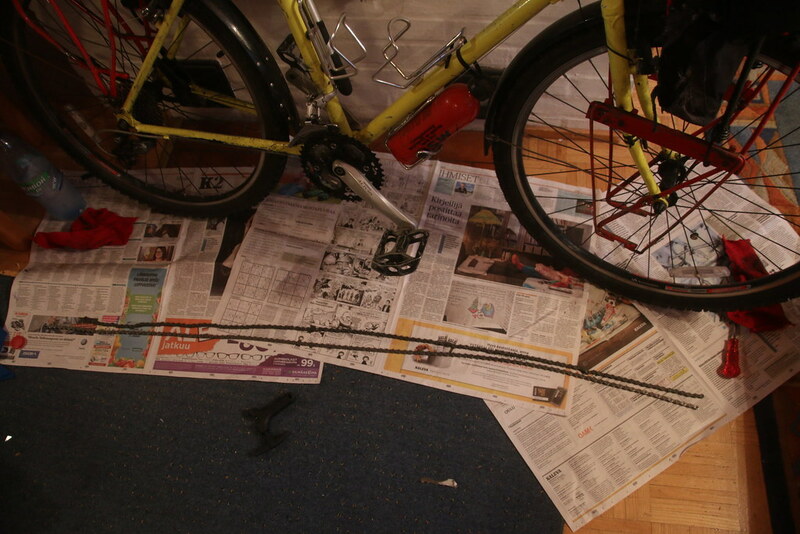 After police was gone, I left with my bicycle again on the road. So, I just kept cycling. Unlike police’s wish, I had the worst day in my trip at the afternoon. There was something happened on online. I got more shocked than sleeping in a jail. The most famous Russian blogger stole all my pictures about the posting of Russian car accident and translated without permit. And I got so many bad messages ever in my life. If somebody asked me what the hardest thing on the trip was, I would say this one! To sleep in a jail was actually nothing compared of it. I had suffered from it for weeks …..
Today I really didn’t want to knock somebody’s house. But I didn’t have choice. I just gave myself some hamburger to cheer up. I asked over six or seven times and was denied for a place to sleep. And then later I was invited by local middle aged couple. They gave me so much warm food. 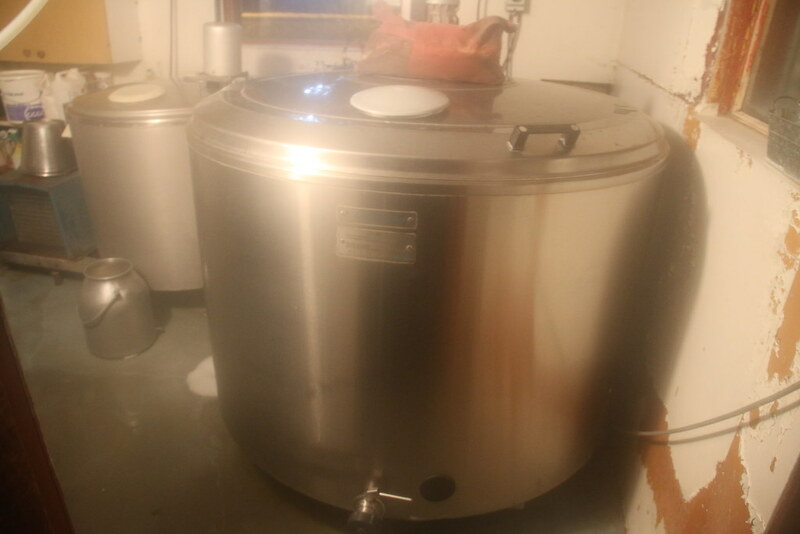 Then they offered me sauna. Every Finnish sauna was different. Their sauna was super hot. After hot sauna, they gave me so cold beer. I was sleepy after a cold beer. She said there is room I can sleep at the upstairs. Human can make me sad and angry, and human can make me happy. And I am one of that human. The weather was suddenly cold after one month break time. 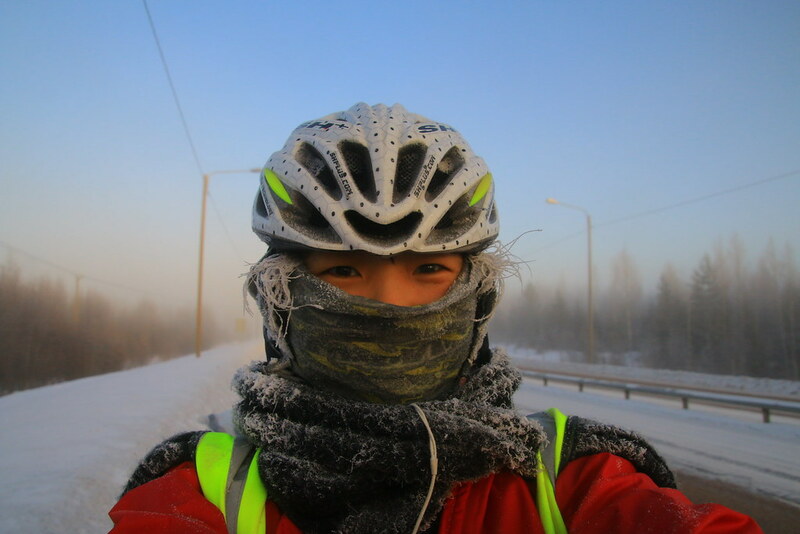 So, I made the record of cycling with the coldest temperature -21c (-5.8f). I was just curious when the snow would stop. You are unbelievable! 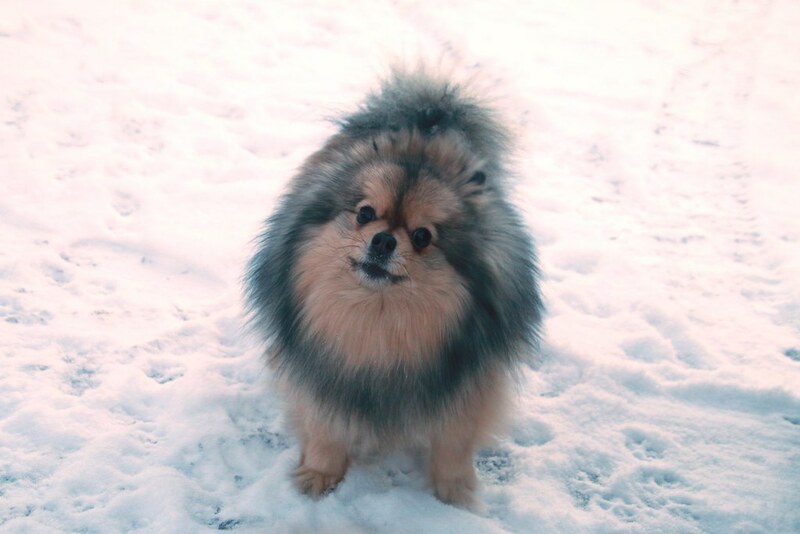 I admire your strength and ability to enjoy even the harshest winter days. Unfortunately I haven’t heard about you before, otherwise I would have invited you to my place in Helsinki. 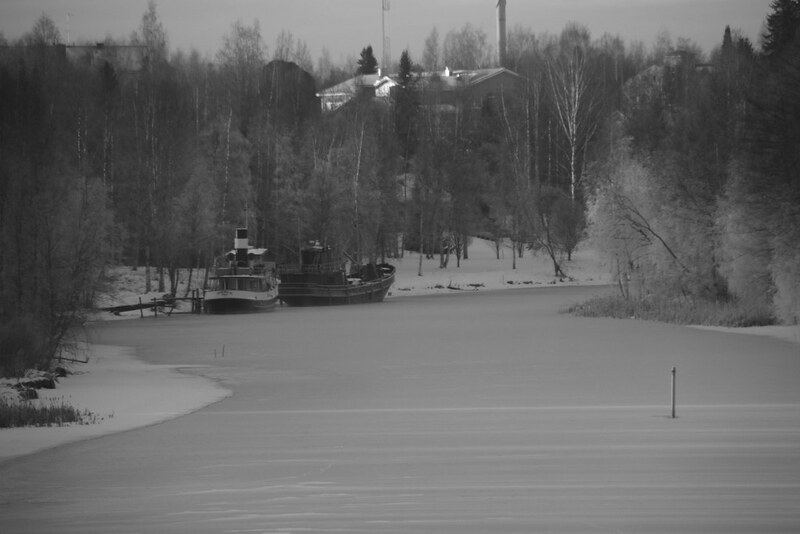 As a Russian, living in Finland, I can say that your observations are valuable for me and quite touching. I used to have many similar thoughts when travelling on bicycle in both of these countries. Actually I’m quite convinced that you had frost bite on your face and not allergy, especially with the itching part which is quite common after long hours in the cold even if you don’t have actual frost bites just cold ear lobes, fingers and toes. Not that allergy can’t be ruled out of c. without a doctors opinion, anyway other thing to look out is chafing from the wet clothing that can lead to a nasty rash very quickly. I caught a one on my thighs as I was cycling the other summer and a sudden rain shower made my jeans and clothes all wet, the next day I had rash all over my thighs, not unlike a diaper rash (and it was treated the same way actually). I just checked the temperature I recorded for journal. Actually it was very cold day before itching started. (-32~-25). 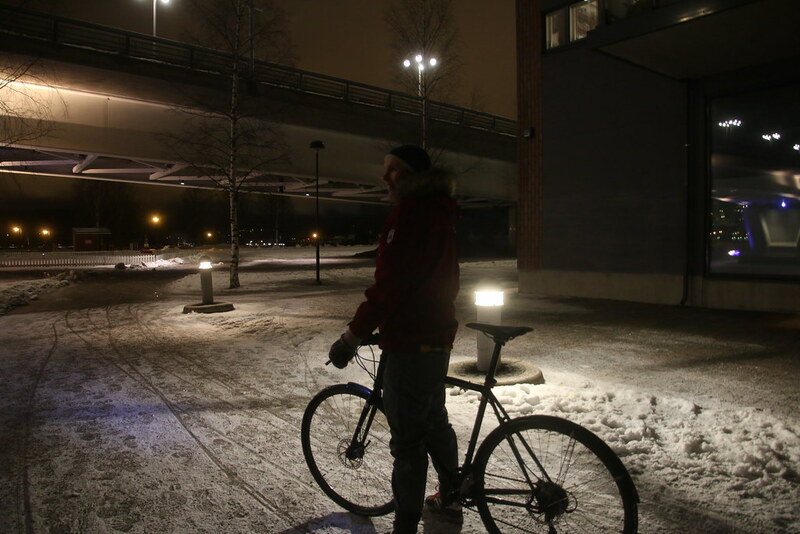 I didn’t cycle at that time, but I did some small tour during daytime. Why frost bite was spread?? It started from left ear. 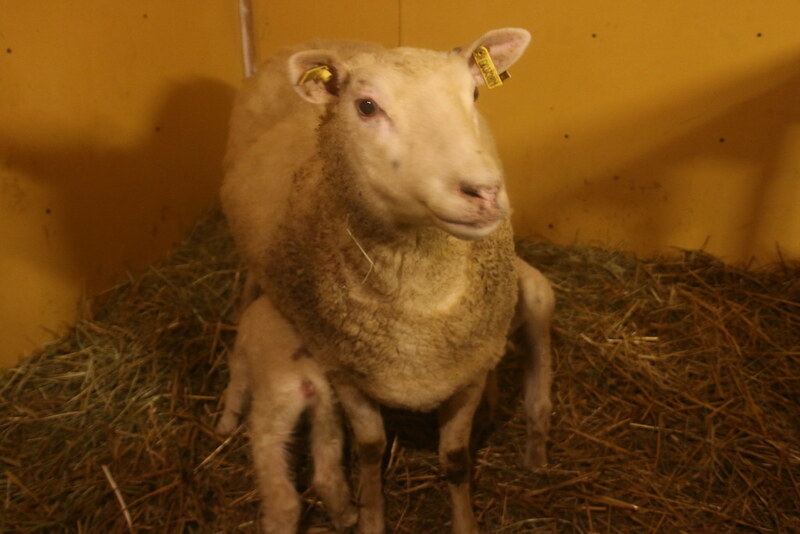 Then next day right ear.. then back neck, chick, front neck, face was being swollen.. even it was going to spread to the chest. Since I took the tablet, spread was stopped. Frost bite could be spread to whole body???? 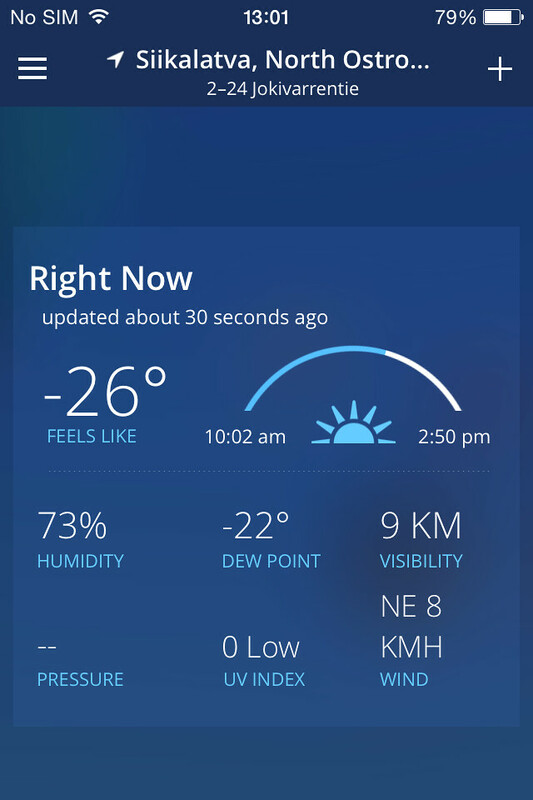 When I was in Canada, usually it was -20~-30. But I’ve never had any problem.. So, I thought it was some kind allergy which I don’t know. 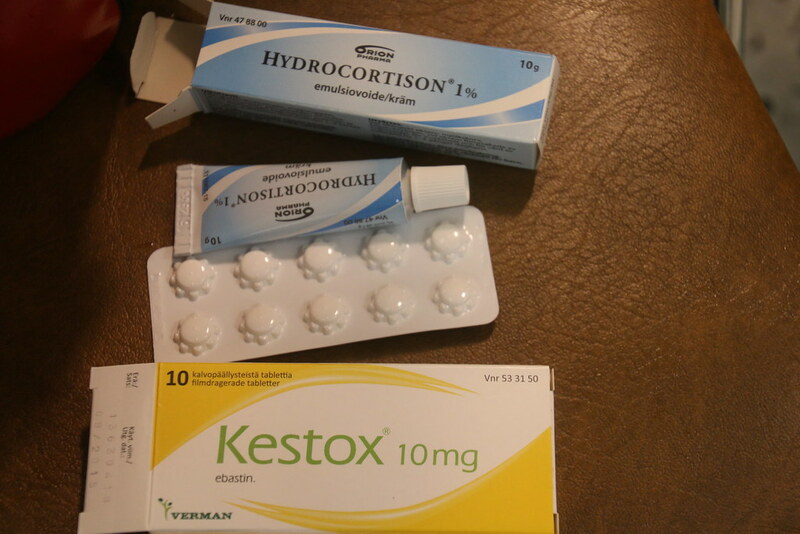 I meant this http://www.dermnetnz.org/reactions/cold-urticaria.html which made me think that you might had something similar that is related to exposure to cold but then again I would assume you would had had similar symptoms in Canada as well. That skin condition is considered as an allergy however so it seems so we might both be right, anyway the test on the site is simple put an ice cube on your arm and blisters show up (just like with a normal allergy test). But it could be worse I personally have a condition where snow melting on my wrist(s) makes them feel like a knife being twisted inside the joint which isn’t fun when you have to deal with loose snow, odd thing is that it’s only the wrist joints that hurt. Too bad that the doctor in Finland is so expensive for foreigners; they could had made a proper allergy test for you which I still recommend you to do if possible. Cada vez que vejo suas fotos, admiro mais sua coragem. 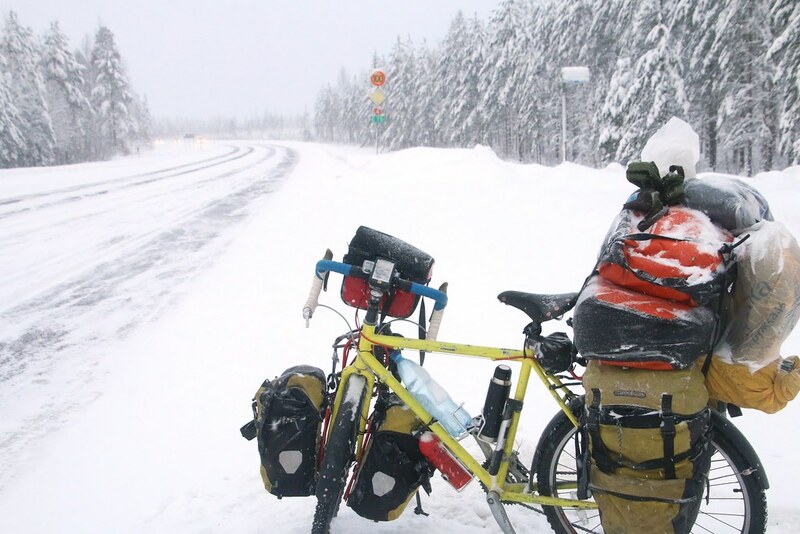 You are very brave to cycle at winter. Did you have winter spiked tires? 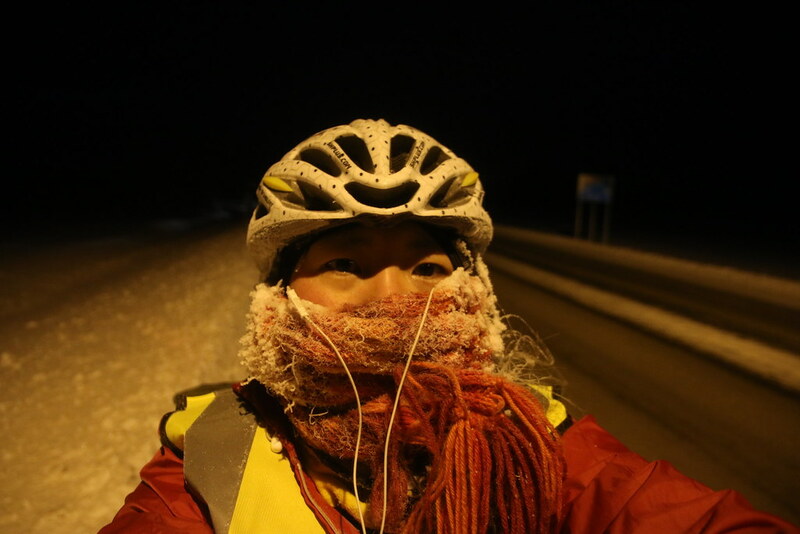 My coldest cycling temperature is -17, but it’s only 1 hour to work and 1 hour back. 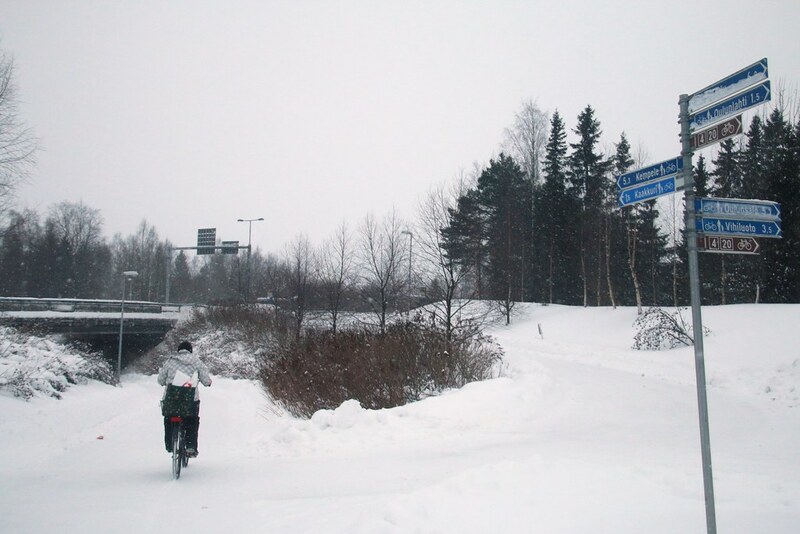 I did cycle in snow and it was very hard thing to do. Hope you will settle some day, get married, have that cute baby. I wish I could travel the world like but I only cycle another countries on my vacation once in a year. It was difficult time for you, but you fulfilled your dream – you saw aurora.